Following a four year hiatus, Melksham Community Campus is keeping DKA busy again. The scope has been revised and a new planning application was submitted in March 2019, marking an important milestone for providing state of the art community facilities within Melksham town centre. 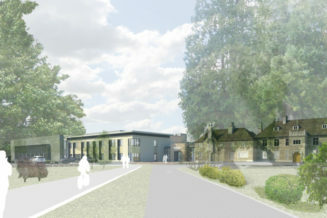 Located on land adjacent to the Grade II listed Melksham House, the new campus will occupy the site of the previous Melksham Town Football Club. The new Community Campus will provide a six court sports hall, a six lane 25m swimming pool with spectator seating, a learner pool, a 75 stations fitness suite and a dance studio. 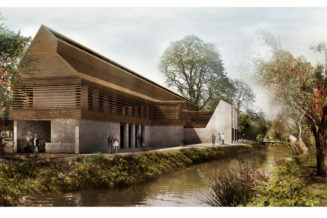 The project will also include a café, a library, community rooms and offices for Melksham Without Parish Council. A decision on the planning application is expected by the end of August 2019. Construction work is expected to start in early 2020 and completed by mid-2021. 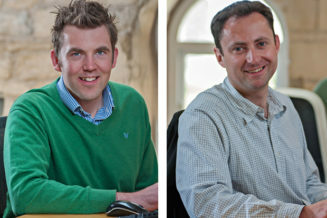 DKA have welcomed three new starters into the office over recent weeks. We felt it was about time we introduced them all to you. 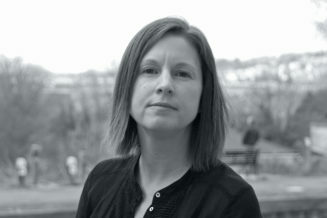 Samantha Harrison joined as an Architect at the end of 2018. Alex Gerrish-Ives is a Senior Architectural Technologist. Hannah Yoell is a Senior Architect. We are so pleased to have Samantha, Alex and Hannah join us and add their considerable expertise to our team. Read more about each of them and the experience they bring by clicking their names in the text above. 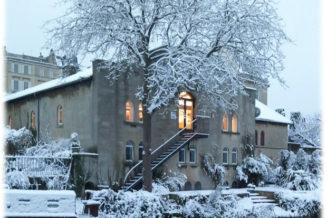 New photos are now on the Corsham Digital Mansion project page. This converted and extended Grade II listed building will provide a creative hub for digital start-up businesses. Delivered for Wiltshire Council the previously vacant site offers small units with associated meeting rooms and breakout areas. It has been a special year at DKA; celebrating our 25th anniversary, launching our new website, welcoming seven new members of staff and taking on exciting new projects at the same time as seeing the completion of others. Instead of Christmas cards, we like to send an e-card and make a charitable donation. This year our chosen charity is Dorothy House Hospice Care. 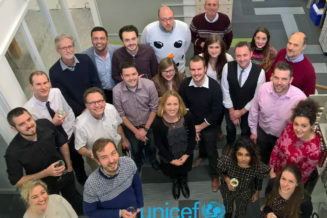 The whole team would like take this opportunity to thank you for your continued support over the year and wish you a very Merry Christmas and a Happy New Year. 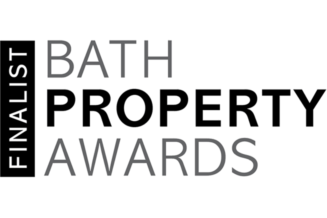 We are thrilled to have been selected as finalists in the Architect category for the inaugural Bath Property Awards. 2018 is a special year for DKA – celebrating our 25th anniversary, working on some incredible projects and launching a new website – so to be on the shortlist for this gong too really is special. Best of luck to all finalists and we look forward to seeing you there. Once again, DKA headed down to the University of Bath’s RIBA Part 1 Architecture end of year show to award one lucky recipient DKA Award for best digital illustration. After careful deliberation the DKA judging panel decided to award this years prize to Jonathan Tam for his Fencing Academy. Congratulations, Jonathan, from all of us at DKA! For our first project at the University of Bristol, DKA worked with John Perkins Construction (JPC) to design and deliver phased refurbishment and interior design improvements to provide much needed additional teaching and research space for the Faculty of Engineering. 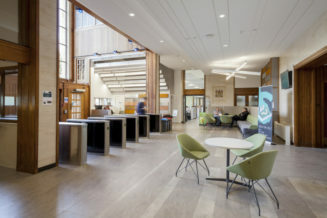 The refurbishment of the 1950s ‘Queen’s Building’ included remodelling the main reception, creating a new café, student study rooms, open plan offices, student support functions, general laboratories, break-out spaces and improved welfare facilities. The scheme also added greater flexibility and improved (and more inclusive) welfare facilities. 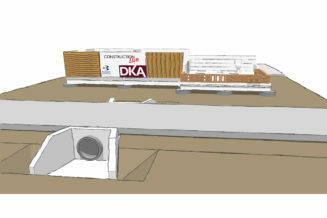 DKA were lead designer and Principal Designer, managing the stakeholder meetings and coordinating the design. The once dark and cramped main entrance has been transformed; original timber panelling and stone-faced walls were retained alongside a welcoming new reception area, including a showcase feature wall displaying typical engineering materials. The café and Student Study Rooms (SSRs) enjoy 24-hour access with large existing windows providing natural light to the space for meeting and eating. 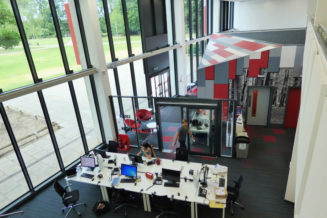 Similarly, the office spaces utilise the building’s high ceilings and large windows to maximum effect. Glazed partitions in strategic locations increase surveillance and suspended acoustic rafts manage the internal acoustic environment. The new design provides a flexible, creative learning environment suitable for teaching, seminars, design sessions and group working. It will help attract and inspire the next generation of engineers. This month, we are delighted to receive confirmation of funding from the ESFA (Education Skills Funding Agency) for the complete recladding, refurbishment and redecoration of Brentry Primary School, a unique and popular school in north Bristol. The existing 210 place primary school for pupils aged 4-11 was built in the 1960’s. Despite substantial refurbishments and extensions over time, the ‘Outstanding’ Ofsted-rated school falls well below current building standards. The project designed and developed with Bristol-based contractors Bray & Slaughter will address as many of these as possible within the confines of the existing building to bring the school up to date and an outmoded building to life. The project will transform comfort levels within the school with new heating and ventilation systems and a highly insulated roof and windows with reflective glass to address solar gain. Work will start on site this summer, commencing with the delivery of a temporary school located on the school playing fields before the end of term. The refurbished building will be fully operational for the 2019-20 academic school year. Last night, DKA Architects marked their 25th anniversary with a summer garden party to raise a glass to the last 25 years and toast the next 25! The Holburne Museum in Sydney Pleasure Gardens was the backdrop to the garden party themed event in which DKA welcomed staff, clients, friends and supporters to celebrate DKA’s journey over the last 25 years. Guests partied the evening away with Garden of Eden cocktails made with Bath Gin, a fire pit BBQ and lawn games including croquet, giant Jenga, noughts and crosses and a coconut shy. Bath busker, Steve Robinson, provided the musical entertainment. The evening included speeches from directors David Kent, James Bastable, Alex Bell and Fabien Coupat and the cutting of a giant numeral 25 cake in the signature DKA maroon and blue designed by Sandra Monger Cakes. Old Sarum Primary School has been shortlisted as a regional finalist in both the Best Public Service Building and Best Educational Building categories at the West of England LABC Building Excellence Awards 2018. Designed by DKA and constructed by Morgan Sindall, the school’s extension was completed earlier this year and echoes the architectural language of the existing buildings. 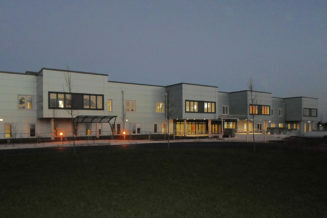 The building was part of a major £2.6m expansion project which has allowed the school to double in size to 420 pupils. 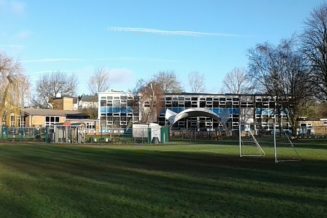 The new two-storey, steel-framed building provides eight new classrooms, a studio and a technology room. Read more about the project here and watch a video about the project here. 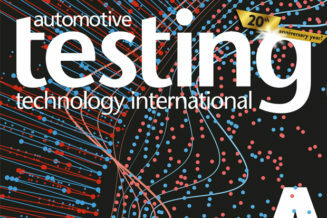 The Institute for Advanced Automotive Propulsion Systems (IAAPS) for the University of Bath has received international coverage in the latest issue of ‘Automotive Testing Technology International’ magazine. Scheduled to open in 2020, the facility, designed collaboratively by DKA and Stride Treglown Architects, is predicted to compete ‘on a global scale to deliver future generations of major powertrain technologies’. You can read the full article here – subscription is not necessary. Read more about DKA’s involvement in the project here. DKA Creative Bath Awards finalists again! 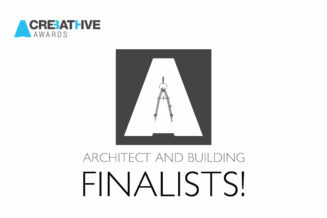 We are over the moon to be finalists in the ‘Architect and Building’ category of the Creative Bath Awards for the second year running. Creativity and innovation is in no short supply in Bath, so to be on the shortlist for this award two years on the bounce is no mean feat at all. As ever, the competition will be fierce, but we’ll be eagerly looking forward to 14th June to rub shoulders with Bath’s finest and raise a glass to all we’ve achieved. Yesterday saw a significant milestone in the refurbishment and extension of the Grade-II listed Corsham Mansion House. Just over a year after receiving planning permission, the steelwork for the new extension arrived onsite and construction has officially begun. DKA are working with Beard for Wiltshire Council on the project which will see an exciting revival of the large 18th Century listed building which has been left vacant for many years. Once completed it will be used to support the growth of local digital start-up businesses with incubator units, a board room, seminar space, meeting rooms and social spaces. The extension is of a sympathetic modern design – a contemporary building which responds to its context and neighbour in both scale and materiality with considered connections to the main building. We’re busy! In the last two weeks we’ve welcomed a new Architect AND Architectural Assistant onto the DKA staff and yet, we are still hiring! Are you a Technician with Revit training living in the Bath area? We would love to hear from you. We offer competitive salaries, flexible working, training benefits and an attractive studio setting. 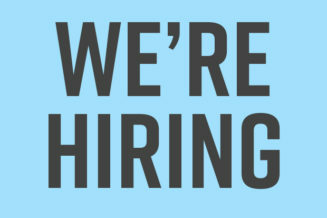 If you would like to work with us please send your CV to applications@dka.co.uk. DKA is an equal opportunities employer. 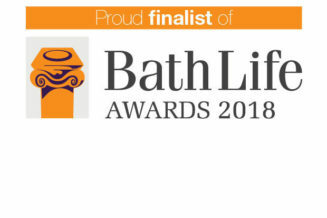 We are thrilled to have been announced as a Finalist in the Business Services category of the Bath Life Awards 2018. 2017 was an excellent year for DKA and we are all extremely proud of the work we did – so it was nice to have our effort recognised. Roll on the awards ceremony on 1st March. 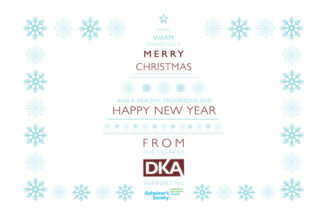 It has been a fantastic year here at DKA and we would like to take this opportunity to thank you for your continued support. Instead of Christmas cards, we like to send an ecard and make a charitable donation. This year our chosen charity is Julia’s House Children’s Hospice in Devizes. We would like to wish everyone a very Merry Christmas and a happy, healthy, prosperous New Year. 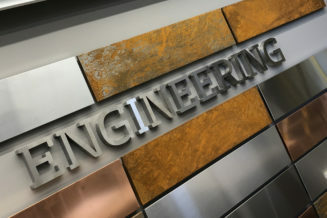 DKA and Stride Treglown have been selected as the architects to design the University of Bath’s Institute for Advanced Automotive Propulsion Systems. The Institute for Advanced Automotive Propulsion Systems (IAAPS) will be a global centre of excellence, delivering transformational research and innovation into advanced propulsion systems. Located at the Bristol and Bath Science Park, IAAPS will lead the development of future generations of ultra-low emission vehicles and attract sector-related businesses to the region, generating economic growth. 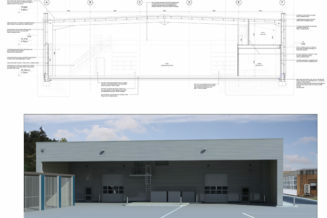 DKA will apply specialist automotive expertise to develop and coordinate the design of the complex testing facilities. Stride Treglown are lead consultant, designing the overall building envelope, office spaces and site-wide development. Planning consent was submitted in early 2018 with IAAPS scheduled to open in early 2020. Project Lead and Vice-President (Implementation) at the University of Bath, Professor Steve Egan, said: “We are delighted to have chosen Stride Treglown and DKA as the architects for this very significant research facility. IAAPS will enable the University to build upon its 40 years of automotive research excellence in collaboration with some of the world’s leading companies. Other consultants from the University’s framework include Turner & Townsend, Project Management, Fulkers, Construction Cost Consultants, AECOM, M&E Services, and WSP Structural and Civil Engineers. The Institute will exploit the engineering expertise of the University of Bath for the benefit of the UK’s automotive industry. IAAPS will stimulate over £67m in additional automotive research investment by 2025, creating an additional turnover of £800 million for the UK automotive sector and supporting nearly 1,900 new highly productive jobs. 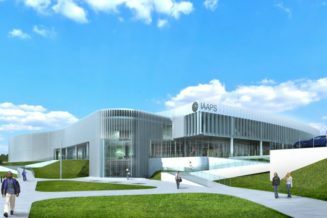 Specialist facilities will make IAAPS a centre of excellence for training and skills development in automotive engineering, supporting new Apprenticeships, Honours Degrees, Masters and Doctoral courses, helping to address the engineering skills shortage facing the UK automotive sector. IAAPS will also support the development of a much larger and more competitive automotive business cluster in the South West by providing access to its state-of-the art facilities to regional start-ups and small to medium-sized companies. We are very pleased to announce that after a thorough auditing of our internet facing infrastructure – including firewalls, routers and office-hosted systems – DKA are now Cyber Essentials Plus certified. The Cyber Essentials Plus accreditation was achieved after a technical review of DKA’s workstations by an external Certifying Body. 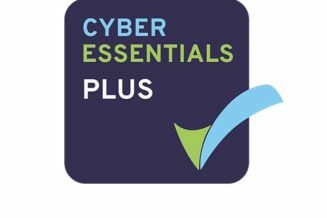 Cyber Essentials Plus is a more thorough assessment of the organisation and, as a result, may provide greater security assurance. Cyber Essentials are committed to helping businesses protect themselves and their clients from the continually evolving range of threats to their cyber security. Improving our defences means we have made a strategic decision which will benefit our whole business including the security of our team and all of our clients. The current phase of our improvement works for the Faculty of Engineering has successfully completed and handed over to the University of Bristol. This phase of works provides high-quality social areas and office spaces to facilitate teaching and research growth. The revitalised main entrance is a particular gem; original timber panelling and stone-faced walls are retained while a new reception is cohesively integrated, including a showcase feature wall displaying typical engineering materials. 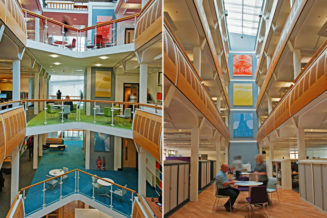 The phased refurbishment and interior design works spread over three floors in the centre of the northern wing of the existing 1950’s Queen’s Building. The scope includes the main reception, a new café, student study rooms, faculty offices, student support functions, general laboratories, break-out spaces and improved toilet facilities to be more inclusive to all genders. The project will make a transformative difference to the staff, student and visitor experience! It’s been a busy time in the office but we’re excited to finally have a chance to introduce you to our new Communications & Graphics Co-ordinator – Adam Wilkinson! Adam has been learning the ropes and getting stuck into projects around the office for nearly a month now and has quickly learnt how to juggle multiple tasks at once. He joins the DKA team having worked as a graphic designer for The Bristol Cable, The Good Transport Plan for Bristol and at Emmanuel College, Cambridge. He has experience developing brands and expanding their reach through print, web and social media. In his spare time, Adam is a keen record collector and gig-goer, plays football three times a week and is trying to learn Italian in between (he’s hoping to have it nailed in time for his wedding in Italy in summer 2018). We are pleased to announce that Alex Bell, one of DKA’s directors, has been added to the RIBA Conservation Register. 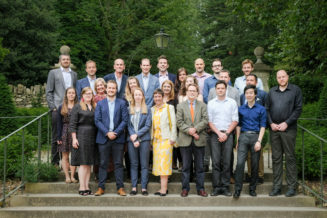 Alex attended the recent 4-day course held in Bath which focused on the underlying principles of conservation theory and practical applications. This included an explanation of the ICOMOS principles, the methods one must use to consider the significance of a heritage asset and useful research techniques. It also covered the common causes of decay in old buildings and how it is best to approach repairs for a range of traditional materials. 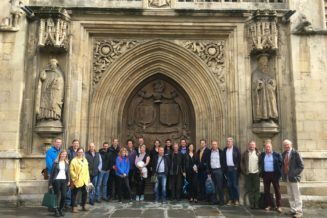 On the last day we visited Bath’s Octagon Chapel and Bath Abbey to learn about the Footprint Project. The RIBA Conservation Register has three levels, with the highest two categories reserved for experienced conservation architects. Alex will enter the register as CR or Conservation Registrant, which demonstrates a good working knowledge of the key aspects of conservation, able to exercise judgement over the complexity of problems associated with old buildings. 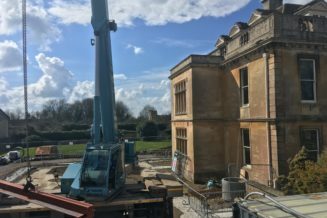 DKA have worked on many listed buildings in the past and are currently refurbishing and extending Corsham Mansion House for Wiltshire Council. For this project DKA researched and compiled the Heritage Statement as part of the listed building application which was approved earlier this year. It is hoped Alex’s new knowledge will help this project through it next stages, as well as future commissions. Stewardship of our built heritage can often seem at odds with the need for re-use and adaptations to old buildings. If done carefully and respectfully there is no reason why innovative design cannot emerge from our familiar historic surroundings using traditional and contemporary building methods. Hello September, hello autumn and hello to a new face in our studio. Elspeth has joined our team! Elspeth studied at the University of Bath and the Welsh School of Architecture (WSA), Cardiff University. She has worked in both small firms and a large international multidisciplinary design practice. This varied experience has generated adaptable skills in a broad range of project sectors including; Education/ Higher Education, Healthcare, Infrastructure/ Transport. Whenever time allows you will find Elspeth swimming, biking, boating or running so she’s already signed up for the DKA lunchtime running club. We’re really looking forward to working with her and adding her skills to our knowledge base. Congratulations to Maggie, Caroline and Jill,on becoming BREEAM Associates. 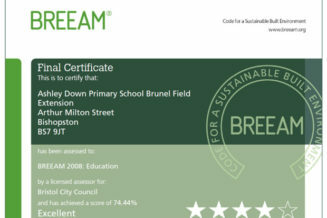 Here at DKA we are passionate about sustainability and we have jumped at the chance to enhance our BREEAM knowledge. 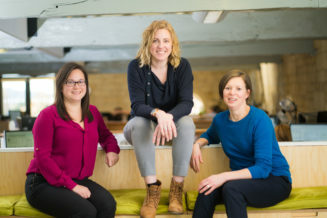 Maggie, Caroline and Jill currently support the BREEAM process day to day by ensuring appropriate consideration of the issues throughout the design and construction process. This new qualification from the BRE has armed them with the knowledge to effectively add value to BREEAM assessed schemes whilst also completing their usual project roles. DKA is proud to support the RIBA Part I architecture students at the University of Bath. To recognise the students hard work, a small DKA judging panel takes the yearly pilgrimage to the University in search of the best computer generated graphics for the DKA Award. Based on the graphics exhibited, the panel chose Scott Chen as this years winner! Congratulations Scott from all at DKA! At the end of June, we said goodbye to Director Simon Lawrence who decided to retire after nearly 22 years’ of service, remaining Director David Kent who founded the Practice in 1993 will be joined on the board by three of the team who have proven their commitment to the Practice and their willingness to lead the team of 22 talented individuals. James Bastable joined DKA in 2006, Alex Bell joined DKA in 2002 and Fabien Coupat who joined the team in 2001 were all promoted to the position of Director on 1st July. “On behalf of myself, James and Fabien I’d like to say how pleased and excited we are to be taking on the role of director. We have each been part of DKA’s management team for a number of years, most recently as Associate Directors. This role prepared us in aspects of practice management and leadership which we have been able to execute over the last 18 months, becoming increasingly involved in bidding for work, business development and finances. 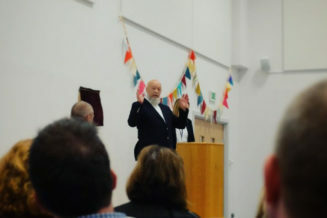 On Wednesday 17th May, The Mendip School was officially opened by Michael Eavis CBE. The school is a brand new special school for 120 pupils with autism aged 4 to 19, located on the Bath and West Showground near Shepton Mallett. Over 200 people attended the event which showcased the tremendous facilities on offer to pupils. Staff, parents and invited guests were given a tour of the school by pupils, and served coffee and cake in a marquee on the playing field. Unfortunately it was a day for anoraks and umbrellas as the heavens opened, and rather curtailed the panoramic views of the open countryside. The real star of the show was a magnificent horse, from Divoky Riding School, saddled up and ready to ride, but unfortunately, due to the weather there were no takers. Most new schools start with a small intake and gradually build to fill the space available. 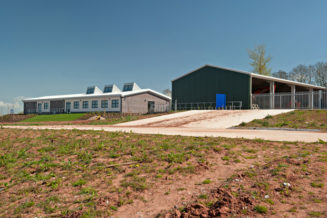 In its first year after completion The Mendip School has more than half of the 120 pupils the school was designed for, and has already developed a tremendous reputation. 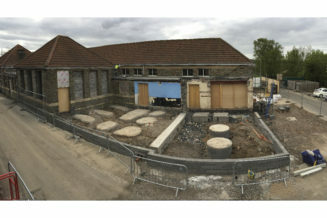 The school already has plans for a new swimming pool on the site, for which they are working hard to raise the funds. This will also be available for the local community to use. David Kent and Andrew Batty attended the event on behalf of DKA and were delighted to find the building had been so well received by pupils and staff alike. It was a very enjoyable day and we are sure the school will provide the best start in life for many children in the area. Digital Gaggle is Bristol’s biggest and most popular marketing conference, held bi-annually at The Colston Hall. Digital Gaggle is hosted by Bristol’s top marketing agency Noisy Little Monkey and are supported by sponsors at each event. 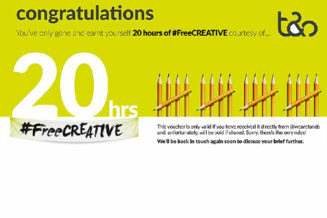 At the most recent conference in March, T&S Creative Communications were not only sponsors but were offering a magnificent 200 hours of ‘free creative’ . We were one of the lucky organisations to receive 20 hours of this generous offer. We’ve met up with the T&S team at their office in Bristol to chat about what makes DKA tick, as well as covering other serious design related topics such as the correct pronunciation of Nutella and Adidas… We may have gone off course once or twice! The T&S team are great and have proposed a creative workshop at our studio in June where we will talk all things creative with them and our team. We’re really excited to welcome them… watch this space. 5 years after completing the renovation and extension to Sea Mills Primary School, DKA and Skanska are back on site creating a new Children’s Centre alongside the school . 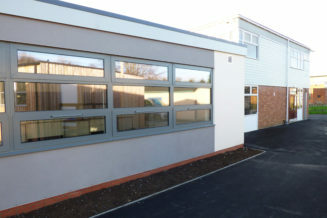 The three classroom building for 2 and 3 year olds is a mixture of an existing 1927 school building and two new modular extensions at the rear. Following some partial demolition, foundations were prepared for the modular units which were built off site and craned into position over the Easter break. These extensions help bring the building up to modern standards for physical space, toilet facilities, access and support functions. Now installed, they will be clad externally and receive internal finishes. 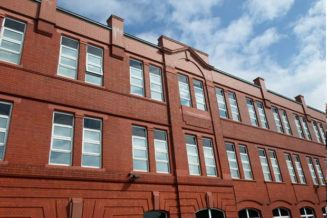 The former classrooms on the front elevation have been converted into a variety of uses including a children’s kitchen, staff room and Family Support spaces. The building also has two lettable training rooms for use by the wider community. The centre is due for completion in August 2017. DKA finalists in the first Creative Bath Awards! We’re so excited, and we just can’t hide it! As soon as we heard Creative Bath were holding their own awards ceremony we jumped at the opportunity to nominate ourselves for the coveted ‘Architect and Building’ award. We love the city we work in and we love to support Bath events and local businesses whenever possible. We’re also really proud of the outstanding design work our creative team produces but above everything else David and Becky love an excuse to get dressed up and hit the town. These brand new awards ticked all the boxes and we just had to be involved. We can’t wait for the 8th June and we look forward to seeing you all there for fun and fizz! The proposed Dance Studio and Classroom block at Sheldon School in Chippenham has been granted funding and a contractor is currently being appointed with the intention to start work on site in July. The new dance studio will be a great resource for the school and local community, and thanks to everyone involved. We are pleased to learn that Castle House Nursing Home in Keinton Mandeville, Somerset, has just received an Outstanding rating from the Care Quality Commission. DKA designed a new extension providing 17 additional bedrooms, a new entrance, lounge and external landscaping along with refurbishment of parts of the existing home that was completed last year, increasing the home’s capacity to 45 rooms. We understand that CQC only award Outstanding to 0.5% of Nursing / Care homes in the country and are very proud that 2 of the homes we have designed additional facilities have then gone on to achieve this. The other being The Old Vicarage in Leigh, Dorset, where a few years ago we designed an extension to provide 8 additional bedrooms, extended the communal Lounge and Dining Room, along with creating a new kitchen and refurbishing parts of the existing building. All at DKA would like to congratulate Jo Marshall and her staff at Castle House for their hard work to achieve this. 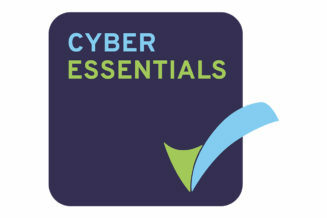 We’re proud to announce that after a stringent audit of our IT and data network, DKA are now Cyber Essentials certified. DKA are delighted to be a partner of Bridgwater & Taunton College for their Construction Live project. Construction Live gives university students the opportunity to experience real life construction at the Construction Skills Innovation Centre at Cannington. This unique centre, designed by DKA in 2013, provides all manner of construction training including steel fixing training for Hinkley Point, as well as general mechanisation skills training. Various universities including Brighton, Loughborough and UWE have signed up their students for a week of hands-on construction including building a WC block, a short section of road, a culvert and parking bays with external lighting. DKA have helped design the various elements and produced construction drawing for the students to quantify materials and then build from. The WC block incorporates a number different construction methods to give the students a range of new skills when they leave. We fully support this effort to introduce students to practical construction training and help tackle the industry-wide skills gap. The New Year sees the opening of the show home at Needham House, Devizes – the new Extra Care Housing scheme designed by DKA for Wiltshire Council. The sun came out for us as Councillors Jonathon Seed and Sue Evans cut the green ribbon and explored one of the scheme’s 47 apartments. 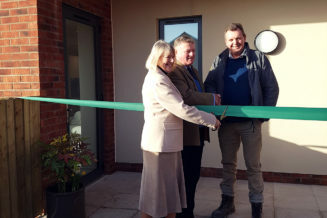 Needham House is the first of a number of schemes to be built by Wiltshire Council to provide additional housing purpose-designed for over 55s, with a communal Lounge, Dining room, activity rooms, treatment room, landscaped gardens and staff & support facilities. There will be 39 two-bedroom and 8 one-bedroom apartments, each with its own balcony or terrace area. All apartments have an open-plan living area and kitchen, spacious hallway and en-suite wetroom, which are designed to accommodate the resident’s changing needs over time. The show home has been fully fitted-out to illustrate that specialist housing does not have to feel institutional and reflects the lifestyle many of us hope we will be able to enjoy in our retirement. DKA’s Interior Designer, Rebecca, has thoroughly enjoyed working on the project – even getting her hands dirty planting up the garden troughs! Needham House is due to be completed by late spring, with both shared-ownership and rented apartments available. The scheme is being marketed by Humberts estate agents. 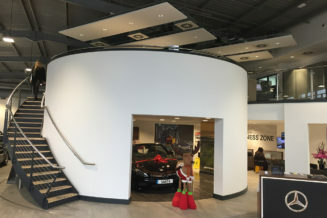 A six-week fit-out project at Mercedes-Benz Watford has been completed on time, which meant it was ready for Christmas. The project reconfigured the first floor offices spaces including a new boardroom and sales hub with better visibility of the showroom. At showroom level a new AMG display has been created. The dealership was an original DKA design dating from 2002. We were able to bring our knowledge from the original design to help the client maximise the space for the new offices. DKA were novated to ARJ Construction for the construction phase and helped to coordinate direct suppliers for Mercedes-Benz including furniture and AV equipment. 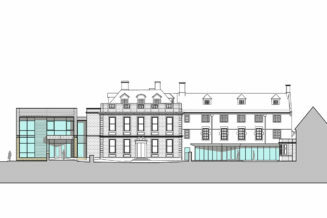 DKA have submitted a planning and listed building application for the refurbishment and extension of Corsham Mansion for Wiltshire Council. The project will convert the vacant Grade 2 listed building into a centre for digital start-up businesses, offering small units with associated meeting rooms and breakout areas. The design seeks to make as few changes to the internal layout of the building whilst improving the access, welfare facilities and renewing the interior finishes. The extension provides a new entrance, event space, lift and staircase. A glass link connects to the existing building on ground and first floor. Another new secondary entrance provides access to a seminar room. We hope the project will be on site from mid-2017. DKA have continued our long standing relationship with global engineering consultancy Ricardo, with the completion of the ‘Centenary Innovation Centre’. The building was commissioned in 2015 as part of Ricardo’s Centenary celebrations, recording 100 years of highly successful operations for Ricardo. The building will act as a focal point for Ricardo customers and employee’s alike and will provide space to show case Ricardo projects and services as well as accommodate conferences, functions and staff meetings. The space was designed to be flexible and adaptive and a high quality exhibition style fit out followed the construction stage. The exhibits celebrate some of Ricardo’s most well known successes of the last 100 years. Some of their more recent projects include the development of the JCB Dieselmax, current holder of the land speed record for diesel-powered vehicles, and the manufacture of McLaren Automotive’s engines. 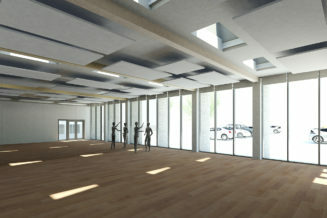 DKA were appointed to design a new dance studio and classroom block for Sheldon School in Chippenham. The design was agreed with the client, granted planning permission and tendered to local contractors in the latter half of this year. The chosen tender has been submitted to the Education Funding Agency and, if approved construction should start on the project in July 2017. 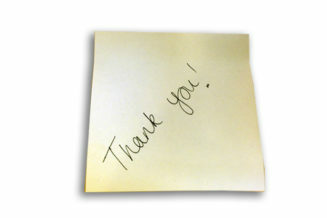 It’s been a fantastic year here at DKA and we would like to take this opportunity to thank you for your continued support. We would like wish everyone a very Merry Christmas and a happy, healthy, prosperous New Year. P.S Keep an eye out for our New Year newsletter coming to an inbox near you soon. If you’re not on the newsletter list, you can sign up HERE! Great news for Jo Marshall and her team at Castle House Nursing Home, last week Care Quality Commission signed off their new extension. 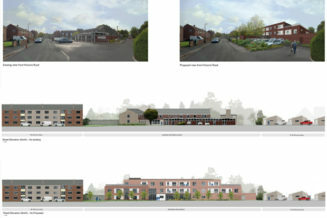 DKA designed the 17 bedroom extension to the existing 30 bed nursing home, also creating a new entrance and lounge area. The scheme also provides a bigger car park and new landscaping to the gardens. Work is continuing on site with making some improvements within the existing building to improve a number of facilities including the provision of a new Health & Beauty Treatment room. 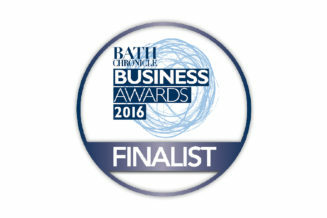 We’re delighted to be finalists for the 2016 Bath Chronicle Business Awards for the category of Best Place to Work! We think DKA is the Best Place to Work and we’ve been making more conscious effort to promote a healthy work environment and embrace Health and Wellbeing. 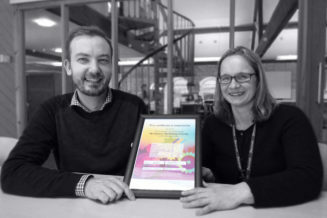 Recently, we were awarded the Workplace Wellbeing Charter, National Award for England. We were the first company in our region to receive this award and it was a great honour. It recognises our commitment to the health and wellbeing of our team and covers everything from mental health to promoting healthy eating and exercise. We have also recently encouraged more of the DKA team out on our lunchtime runs. 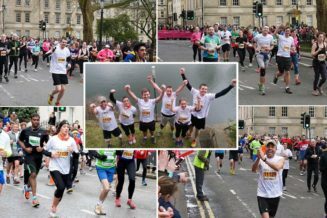 We run as a team for health and wellbeing; we’re just your average workforce using our spare time to increase our fitness level while pushing for and promoting a great event, oh and occasionally running event like The Bath Half to raise money for charity! However, we do look forward to ditching the gym kit for posh frocks at the awards ceremony on the 22nd September. 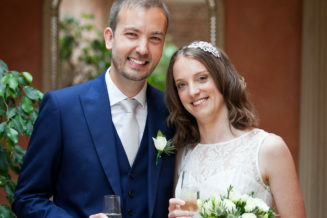 In the first of this year’s DKA weddings, Rebecca Furse married Tom Mason at the Temple of Apollo at Stourhead in Wiltshire. Unlike the days either side, the 27th of June was a beautifully sunny day and the wedding party were able to enjoy wandering around the lovely gardens. Rebecca and Tom’s next project will be decorating their house and they’re very grateful to DKA for their Anthropologie voucher, which Rebecca is itching to spend! 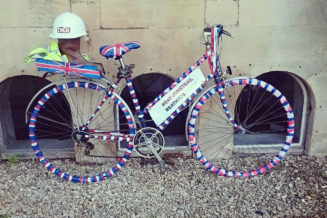 We’re proud to be one of over 50 businesses in Bath taking part in the Cycle Trail welcoming The Tour of Britain to Bath. Thousands of spectators are expected to watch Stage 5 of the Tour of Britain as it finishes on Royal Avenue, below the iconic Royal Crescent, on Thursday September 8. The trail has been organised by Bath & North East Somerset Council, working with local voluntary groups and businesses. Julian House, the Princes Trust and Bath Rugby Foundation provided volunteers to help paint 40 bikes with paint supplied by Rabart – Davies of Bath. The team at DKA were pleased to be asked for the second year to take part in a Travel to Work study organised by Universities of Bath Bristol and Swansea. The chosen few were asked to wear pedometers and GPS trackers for a week and completed a diary to monitor their travelling habits. The study was funded by the National Institute for Health Research’s Public Health Research Programme. Based on the graphics exhibited, the panel chose Luke Gordon as this years winner! Congratulations Luke from all at DKA! Project description:The story of Chepstow’s adaptation to change is portrayed through its collage of materials spliced between quaint cottages, historic mills and dramatic monoliths. The conservation policies of CADW, (the Welsh Government’s historic environment service) sees historical buildings as “heritage assets” to be preserved with an “anxious care” typically of Ruskin’s influence. This design project questions the sometimes stifling platform upon which Wales’ conservation policies rest and proposes extracting an alternative approach with a Ruskinian touch, to allow Chepstow’s historic buildings to flow with their users’ changing needs. This project investigates the role of an architectural intervention to act as stimuli for the regeneration of Piercefield House, a long neglected manor designed by Sir John Soane. 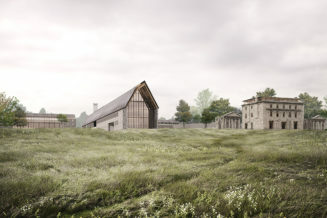 The facility’s workshops for alternative conservation, restoration and training through the creative use of timber will see form demoted and supplanted by narrative, use and material to allow Chepstow’s historic buildings to be “re-appropriated” for modern life. The scheme proposes a series of tectonic strategies that utilise honest, locally sourced materials to create an architecture that revitalises existing fabric, compliments landscape and has a valued agenda within the community. It was like any other Wednesday evening, Jon was playing a spot of touch rugby with his local team then the unthinkable happened. Jon took a fall and ruptured both his patellar tendons. 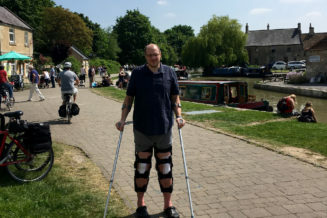 Jon has had an operation on both legs which went as well as expected and is now working from home for the next 6-8 weeks while having intensive physio. We wish Jon the very best recovery and we are really missing him here in the studio. The Barton Hill Primary School extension was successfully handed over by Skanska to Bristol City Council on Friday and the kids have already moved in to their new space. As a recent modern development, the need was for expansion rather than modernisation. The scope of the project brief was outlined by Bristol City Council to expand the existing 2 form entry primary school to a 3 form entry primary school as well as improving toilet allocation and to improve the current dining arrangement. The environmental strategy for the extension utilises natural ventilation, daylight, efficient systems, low energy equipment, and renewable energy. The new building will include the provision of renewable technology to meet the current Bristol City Council planning policy. As an integrated extension the challenges for the team were working within a working school environment. It’s been a really busy year at DKA and 2016 promises to bring more of the same with lots of exciting projects already underway and plenty of events to look forward to. We haven’t sent Christmas cards, instead DKA makes a charitable donation and this year our chosen charity is Macmillan Cancer Support. The charity was drawn at random at our Christmas lunch; Maggie just so happened to draw out her own nomination Cancer Research. Who will receive our group donation. We would like wish everyone a very Merry Christmas and a happy, healthy and prosperous New Year. On Monday 7th December, Crispin School ‘Block D’ is to be handed over. Block D offers additional teaching laboratory spaces which improves the existing Science Block considerably. The plan was developed and adapted to provide an efficient layout, utilising an economic form whilst still creating a building with a prominent identity. The light and airy accommodation provides the school with modern science laboratories to meet the demands of the teaching curriculum. The block has also been designed so that it links directly to potential future phases without compromising future access. It’s only 36 sleeps ’till Christmas (add a few more if you enjoy the occasional nap) and we’re starting to get excited about Christmas here at DKA! We’ve also been thinking about those less fortunate than us and this year have decided to put a twist on the usual tradition of Secret Santa. 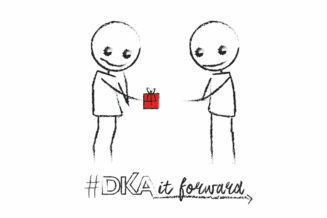 Instead of buying each other a gift, every member of the DKA team will submit the name of a charity close to their heart along with the amount they would normally spend on a Secret Santa present. At our Christmas lunch on the 18 December we will draw one charity from all those submitted who will receive all of our donations. We are pleased to see work has commenced on site for our new 47 Unit Extra Care Home in Devizes for Wiltshire Council. 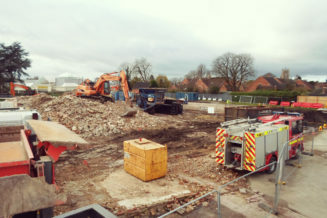 The contractors, Mi-Space, have completed demolition of the existing Southfields House which was on the site and are about to commence excavating the footings for the new building. The new Extra Care Home will comprise 39 two bedroom and 8 one bedroom apartments with communal and support facilities for residents and members of the local community. 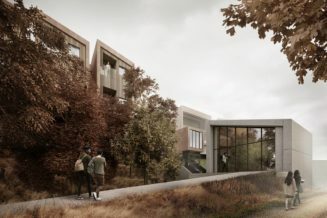 The building will provide two north-south wings of apartments, linked together by the communal accommodation to form a courtyard open on the south side to gardens and mature trees. It’s October, it’s looking beautifully autumnal outside the studio, and it’s not looking half bad in the studio too, we’ve got not one, but two new faces smiling back at us every day! 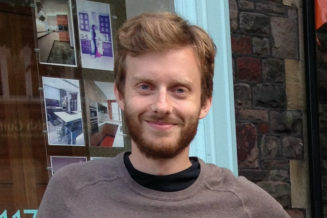 Sam qualified as an architect in 2013 from Plymouth University and currently lives in Bath, just down the road in fact from the studio. Sam has a broad knowledge in education, residential and commercial sectors. Maggie has joined us from the University of the West of England after studying Architecture and Planning, she enjoys all aspects of design and is an aspiring architectural technician. The DKA lunchtime runners have already dragged Sam out on a lunchtime run, hopefully they didn’t put him off! 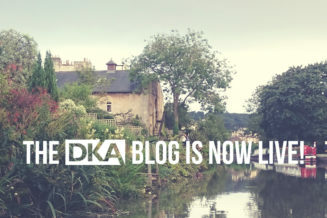 THE DKA BLOG IS NOW LIVE! We’ve had some really positive feedback from you all regarding our website stories and our newsletters, which is what has inspired us to take a step further and start blogging. We’re lifting the lid on The Malt House to let you get a full picture of the team, how we work and what gets us excited both in and out of the studio. You can reach our blog directly from our website where you’ll find personal stories, accounts and comment from members of the team, you can also sign up to our newsletter here where we will be sure to keep you updated about all the goings on at The Malt House. 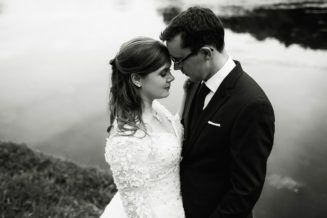 On 10th August Fabien Coupat married Rachel Charlton at Charlton House in Somerset. The rain cleared in time for the ceremony allowing all to enjoy their special day. Fabien and Rachel thank DKA for their hedge trimmer. This wedding gift will come in very handy in keeping their new garden under control. Fabien is now contemplating taking a topiary course! BBC Three Counties go live! BBC Three Counties are now broadcasting from their new radio studios in Dunstable designed by DKA. DKA provided architectural, interior design and graphical design services to create the exciting and dynamic environment for the radio studios and newsroom. Given a clear vision by the end users, DKA produced an integrated concept including furniture, carpet patterns, wall graphics and acoustic ceiling features. The team tell us they loved the way we thought up an innovative solution to the brief, placing the studios at the heart of the station. This acts as a constant focus, a reminder of the BBC values and includes images from the local area. If you’re passing, give them a wave – they promise to wave back! We’ve recently reported that we have been awarded the Workplace Health and Wellbeing Charter. Our commitment to the charter and our team’s wellbeing was rewarded yesterday when Louise Lees from Sirona Health and Councillor Vic Pritchard visited our studio to find out more about DKA and to present the award to our directors Simon Lawrence and David Kent. 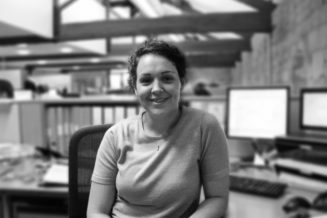 Caroline has joined us as a Part II Architectural Assistant after recently graduating from the University of Bath. Caroline has an interest in sustainable architecture. During her Part II Masters she won the Dissertation Prize with an essay exploring the environmental costs of protecting listed buildings in Bath. We’re looking forward to working with Caroline and utilising her knowledge of sustainable design in our exciting up and coming projects. 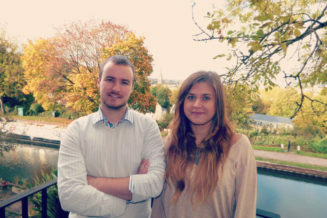 We’re also pleased to welcome another Bath Alumni to our growing team! Caroline has let slip she has a passion for making cupcakes. We’re looking forward to seeing the product of this passion… *hint hint*! 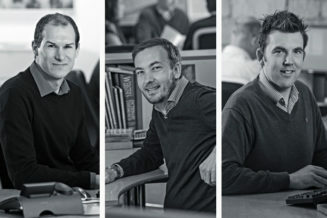 DKA Directors David Kent and Simon Lawrence are very pleased to announce that James Bastable, Alex Bell and Fabien Coupat have been promoted to Associate Directors at DKA on 1 July. Their new positions reflect the effort and commitment that they have made to the practice over the past 10 or more years, and it’s an important step towards securing the long term success and future of the practice. The promotions are set against an expanding order book; recent successes in the precision engineering and education sectors mean that DKA is enjoying a welcome period of expansion and is currently recruiting. DKA are proud to support the Universities of Bath, Bristol and Swansea by being involved with an important research study about travelling to work. The study monitors how some of our team travel to and from work and also measures their physical activity during the day. 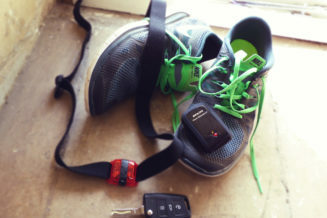 Some of the team have been given GPS trackers and Accelerometers to measure their activity over the course of the week. This is the first stage process and we will post updates as the study progresses. We hope the statistics are useful for the study and also help us improve our Green Travel Plan. This can only mean one thing. It’s summer! There are two things you can guarantee at The Malt House in the summer – the windows get cracked open and we welcome some enthusiastic students here to develop their knowledge while helping us out. This year, we welcome back Ben, now more qualified and au fait with the DKA way than ever before. And we also welcome Chris who is currently studying the MArchD course at Oxford Brookes University. Chris is also a talented artist and sportsman in his spare time. We hope the guys enjoy their 3 months with us, and we’ll *try* to not overwhelm them with too much work! Mendip Free School gets planning permission! A major milestone for the Mendip Free School has been reached with the granting of planning permission for the new building, which will be located on a 2 hectare green field site at the northern end of the Bath & West Showground, Shepton Mallet. It will form the first phase of a masterplan for a mixed development of parts of the Showground which is being jointly developed by the Royal Bath and West of England Society and their Regeneration Partner London & Wharfedale Limited. Mendip Free School is a new special school serving 120 students aged from 4 to 19 with autism, language and social communications needs. There is currently no facility in Somerset to provide for the needs of this group of students, who are often sent out of the County to schools in other areas, which themselves are over-subscribed with limited spaces available. Mendip Free School will address this pressing need to provide a bespoke facility within Somerset to improve the educational outcomes for this vulnerable group of students. It will be designed and constructed to the latest Education Funding Agency standards and will be around 2790sqm in area, single-storey, with a range of external games and play areas. The 2015 DKA Award has been presented to Sam Shortland from the University of Bath. The prize recognises excellence in the use of 3D graphics and presentation in the RIBA Part 1 course. Sam’s scheme was brought to life through her interior and exterior renders produced in a variety of 3D packages. As usual, the standard was very high, but the attention to detail in Sam’s images impressed the judging panel. I’m sure you’ll agree her images show great skill and lifelike representation. Congratulations to Sam Shortland from all at DKA! Digital nature is a digital retreat where recent graduates can found their own web or software based company. The scheme forms an incubator allowing these start-up businesses to be nurtured and grown. The scheme strives to create a canvas to allow for collaborative social interaction, the sharing of ideas being key to the success of the scheme. A range of social spaces creates many different opportunities for social interactions. 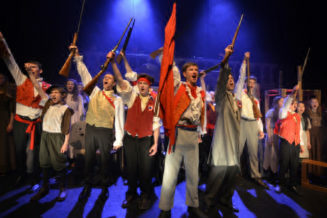 For one week in April Prior Park was Paris 1832, they were manning the barricades hand in hand with the students fighting for Liberté, égalité and fraternité. This wasn’t the triumph of the French Revolution, that was long past, the monarchy was reestablished, and the poor were poorer than ever. This was the heroic failure of the student revolution when Paris turned its back and left its revolutionaries to die in the streets. This was Les Miserables. Ballet, horse riding, roller skating, Taekwon-do, skiing and snowboarding are just a few of the pursuits Becky has given a go through the years. 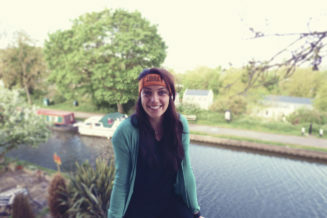 In March, she trained and completed the Bath Half with her fellow DKA runners and last weekend she became DKA’s 2nd Tough Mudder! 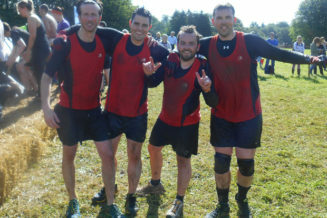 With the Get Fit in Bath team, she plunged into an ice filled shipping container, army crawled through tear gas, scrambled over ridiculously high walls, got electrocuted… and of course as the name suggests, got very muddy on the way. Watch a video from the day itself here! We’ve been working hard along with a representative from Sirona Care and Health towards ensuring that DKA is a fit and healthy environment for its team and we are thrilled to be able to report that we have now been awarded the Workplace Wellbeing Charter, National Award for England. We are the first company in our region to receive this award which recognises our commitment to the health and well-being of our team and covers everything from mental health to promoting healthy eating and exercise. The positive impact that employment can have on health and wellbeing is now well documented. There is also strong evidence to show how having a healthy workforce can boost productivity. This is good for DKA, the team and the wider economy. 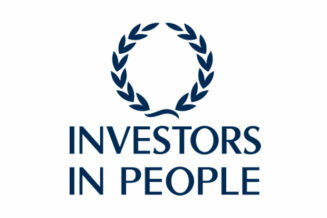 It also sits perfectly into our philosophy as an Investors in People accredited company and with our business vision. 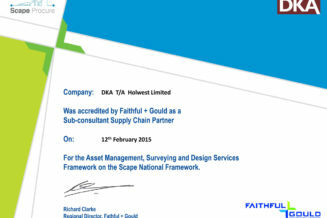 We are delighted to announce that DKA have been successful in their accreditation as a sub-consultant supply chain partner on Faithful + Gould’s Asset Management, Surveying and Design Services Framework on the Scape National Framework. We are looking forward to developing a mutually beneficial working relationship between our two companies. Here at DKA we were interested to note that recent news from Somerset Partnership (NHS Foundation Trust) covers a visit from Dr Peter Carter, Chief Executive and General Secretary of the Royal College of Nursing, to the new Bridgwater Community Hospital, completed last spring. DKA were not only responsible for designing this 5,400m² new community hospital but our appointment was extended to include leading the interior design and art strategies for the building. Both aspects were supported by the Dementia Strategy written by Rebecca Furse, our Designer and Environmental Psychologist, which has since been adopted throughout Somerset Partnership. 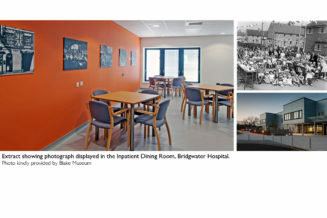 On his tour around the new community hospital Dr Carter, who grew up in Bridgwater, spotted himself as a child in one of the archive photographs on display in the Inpatient Dining Room, depicting the Furlongs Avenue Coronation Street Party in 1953. 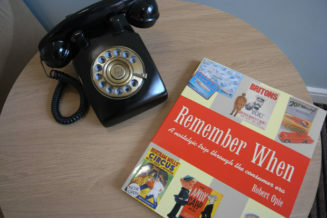 This is one of a collection of photographs, provided by the Blake Museum, that aim to comfort patients living with dementia by encouraging social interaction triggered by reminiscence. The orange colour of the background wall was specifically chosen to stimulate the appetite of patients and provide a warming glow. Nervous side glancing, nail biting, encouraging shoulder hugging, and the odd outburst of “ARGH! We’re doing this!” ricocheted around the group. It was the 1st March and six of the DKA team were about to run the 2015 Bath Half, raising money for Alzheimer’s Society. This was the first time most had run any type of race, they had trained hard, they had suffered injuries but most of all they were enthusiastic and later every one finished the race with a beaming smile. They achieved an average finishing time of 137 minutes and 30 seconds, collectively burning approximately 10,000 calories, and raising £917.50 (and counting) for The Alzheimer’s Society. We’re so proud that the whole DKA running team finished the race, the office has been buzzing ever since and they’ve not stopped talking about their amazing feat. Congratulations to Adrian Abbs, Becky Cook, Jo Griffin, David Munday, David Robinson and David Yeates. You’ve done yourselves, your charity, the city and all of us very proud. The preparations had been made, deadlines met, and with work done for the day, a final resolute click of the mouse sounded out like a pistol at the start line. 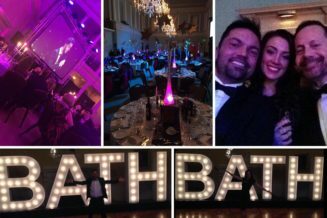 It was time for David and Becky to put on their finest clobber, clamber into the nearest carriage and attend ‘The’ awards ceremony in Bath – The Bath Life Awards at The Assembly Rooms. DKA were a finalist in the category for ‘Professional Services’. Unfortunately, we didn’t win. However, table 32 didn’t go home empty handed. We were like proud parents when Fran from Ustinov Studios won for the Arts category! Congratulations to all the winners, everyone was very worthy of their awards. All in all, it was a wonderful evening, the food and company was simply fabulous. 850,000 people live with dementia in the UK. If we don’t take action, this number is predicted to rise to over 2 million by 2051. 43% of carers do not receive enough support. 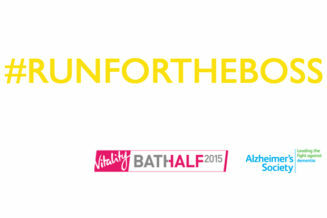 32% of DKA will be running the Bath Half on Sunday in support of Alzheimer’s Society. It’s not too late to make a difference. Should you feel inclined, we would be extremely grateful if you would sponsor one (or more!) 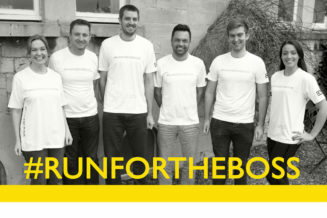 of our wonderful team, click on a runner’s name to take you to their sponsor page. 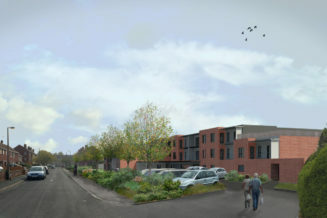 DKA are pleased to announce Planning Approval has been awarded for a new Extra Care Home on Victoria Road, Devizes. This follows a unanimous vote in support of the application at the Planning Committee meeting on 29th January. The proposed building will provide 47 one and two bedroom affordable apartments. They are purpose-designed to the latest standards for use by older people, each with access to their own outdoor space. Extra Care housing aims to provide ‘a home for life’ allowing residents live independently in their own apartments, however care and support facilities will be available on site 24 hours a day as required. The building will become an asset to the local community as the communal areas of: lounge, dining room, activities rooms, and health and well-being facilities, will be available to both residents and local older people. These will all be set within attractive landscaped communal gardens, with a car park and drop-off space, for ambulances, taxis and minibuses near the main entrance. …well, we’re all about to find out! We’ve always known our team are DKA’s best asset and we are about to find out just what makes us all tick as we embark on a course of motivational mapping. 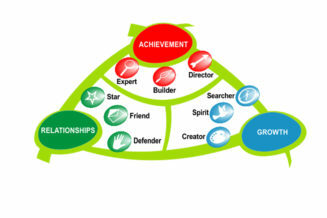 Motivation Maps which start with a simple on-line questionnaire and culminate with a half day of coaching from Lynne for the whole team will enable us to discover all about our own motivators and to get the absolute best from everyone by understanding what’s important to them. It will also provide us with the tools to inform how we set up our design teams which along with our excellent design and problem-solving skills will ensure our clients get the absolute best from DKA. The official opening of the Construction Skills & Innovation Centre took place today at Cannington. 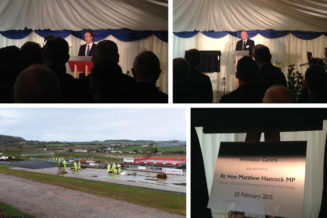 The centre was opened by Matthew Hancock MP, Minister of State for Business, Innovation & Skills. The centre provides both classroom based and practical training for large mechanised construction plant. The first group of apprentices have recently graduated from the new Steel Fixing Course. Bridgwater College principal Mike Robbins stated that the centre provides a legacy for the area and gives the best opportunity for local people to gain the skills to work on the new EDF Hinkley C.
We’re delighted to be finalists for the 2015 Bath Life Awards for the category of Professional Services. It’s great to be recognised for our hard work as a professional services provider in our home city, it’s been a busy year both in terms of working on some really exciting design projects and also giving over some of our time to be involved in the community. 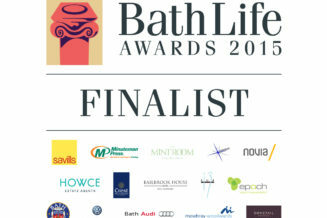 Being a finalist for a Bath Life award has been the icing on the cake and it is a great honour. We can’t wait to get dressed up and join everyone for the awards ceremony on the 26th February! 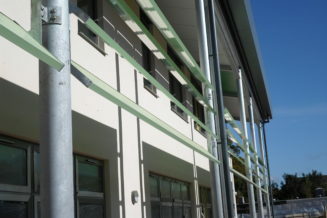 DKA designed Dartmoor Hall at Bridgwater College’s Cannington campus has achieved BREEAM ‘Excellent’ with a score of 75%. The building contains 25 en-suite bedrooms over two stories on the site of a former sports hall. The building uses a large PV array on the roof in conjunction with a very well insulated and air tight fabric. This new building provides much needed modern accommodation on the Cannington site suitable for student use during term time and for conference delegates at other times. It’s been a fantastic year at DKA and 2015 promises to bring more of the same with lots of exciting projects underway and plenty of events to look forward to throughout the year. At DKA we don’t send out Christmas cards, instead we like to make a charitable donation and this year our chosen charity is the Alzheimer’s Society. We’re even continuing our support for the charity throughout the New Year as 6 of us will be running the Bath Half in March in support of the Alzheimer’s Society. We hope you’ll agree this is a great cause to support. We would like wish everyone a very Merry Christmas and a healthy, prosperous and Happy New Year. 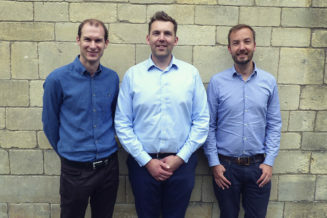 We are very pleased to announce that James Bastable has been promoted to Associate and Adrian Abbs has been promoted to the position of Lead Architect. James has been successfully demonstrating his business development skills over the past few months in the precision engineering sector and with it already undertaking the responsibilities of an associate, so his promotion seemed natural. Adrian has similarly been actively promoting our healthcare experience and helping win new opportunities, an area of expertise that we want to develop further next year. Both these promotions strengthen the ‘core skills’ in the management group and will make us even stronger in 2015! Congratulations to both of them and we wish them well in their new positions. 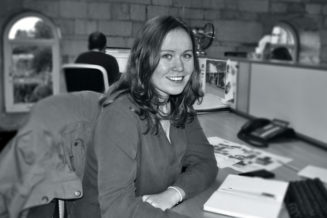 We are pleased to announce that Nina Nymoen has joined DKA as an architectural assistant for the next 9 months. Nina is from Oslo in Norway where she has taken a break from attending The Oslo school of Architecture and Design to get some hands on experience in our studio. She has also studied for a year in the Netherlands at Delft University of Technology. We were very impressed by Nina’s technical and visualisation skills and she is already proving to be a great addition to our team. DKA in training for Bath Half! Its official! 5 keen DKA runners have signed up for Bath half marathon 2015. We can’t think of a better way to show our support for the city we cherish, the profession we love and the charity we sponsor than by entering a team into the Bath Half marathon to raise awareness and much needed funds for the Alzheimer’s Society. Keep an eye out for our enthusiastic team training in their lunch break around the city in preparation for the event, and be sure to look out for us on the big day itself. We will keep you updated with our training progress on twitter @DKA_architects and will be back soon with details of how you can donate! The part that we’ve all been looking forward to after the drawing competition finally arrived… The Prize Giving! After our exhibition at Bath Central Library, judging took place. The winners were shortly announced and we had two carefully wrapped boxes ready to present! We first went to Moorlands Federation where Becky, David and Andy arrived at the start of assembly to present the winning and runner up entries. The year 6 children took part in our workshop at The Children’s Literature Festival and supplied us with the most entries which were all so creative and imaginative; the judges had a hard time picking a winner! We then went to The Paragon School to present Rio with her prize at their Friday assembly. Becky and David were treated to an energetic assembly about courage and visited Rio’s classroom afterwards where she opened her prize with her classmates who were all excited to use their new art supplies! We hope both classes enjoy their prizes and thanks to Moorlands Federation and The Paragon School for making the team from DKA feel so welcome. 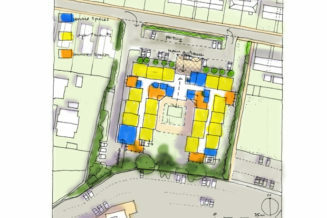 We have recently submitted a planning application for a 47 apartment Extra Care Centre on Victoria Road, Devizes. This £9 million scheme will replace the current Southfield House care home, which is being re-provided elsewhere in the town. The scheme will enable local older residents to live independently for longer in their own homes. In addition to the 47 1 & 2 bedroomed apartments, the building will also provide extensive facilities and services to benefit residents and the wider community – including a restaurant, a health and wellbeing suite, gardens and overnight guest accommodation. If planning consent is granted, building work should start in early 2015 with completion by late 2016. 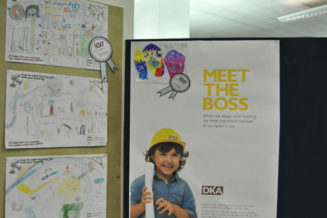 In celebration of our commitment to nurture young creative talent, DKA were not only a sponsor of this year’s The Telegraph Children’s Bath Literature Festival, we also held an exciting drawing competition for children from the ages of 2 to 11. The entries have been displayed in Bath Central Library all week and will be up this weekend. The judging panel, selected the winners today. All the entries caused a huge buzz in the studio at DKA and we found it so hard to pick out a winner, we had to award two entries with ‘Runner up’! Taking the prize for the 6-11 age group was Jenny from Moorlands Federation. Rio Hambury Young from The Paragon school won for the 2-5 age group. We thought Jenny’s design of her dream classroom was creative and practical. Her design included all manner of things from a tree house, learning centre, cinema and animal zone. The design even included toilet facilities and a drop off/pick up area away from the playground! Maddy from Moorlands Federation was our first runner up. Her ideas were original and fun, her classroom included an explosion room and body guards, but our favourite bit about Maddy’s design was the all you can eat buffet! The 2nd runner up entry was from Abi and Charlotte, also from Moorlands Federation. 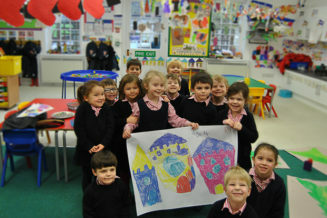 They designed their dream classroom together, we loved their joint effort. Rio from Paragon School was our youngest winner and her design caught our eye straight away, her dream school is represented by three castles! Thank you everyone who participated and well done to Jenny and Rio! As part of the Integrated Health Projects team, DKA were pleased to be Highly Commended for the Innovations in ProCure 21+ award for Bridgwater Community Hospital at yesterday’s Building Better Healthcare Awards at the Brewery in London. Bridgwater Hospital has been an exciting project for our Healthcare team, they were really pleased with the result from the award ceremony and the recognition from the judges’, as an enhanced patient experience was one of the main objectives that drove the design. Building better Healthcare Awards are held each year to celebrate innovation and improvement in the built environment, medical devices and people working in the healthcare industry. 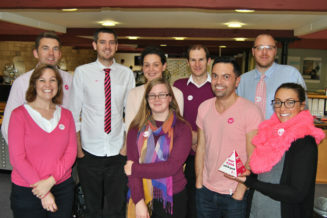 We’ve loved being involved in the Breast Cancer Campaign’s #wearitpink day. 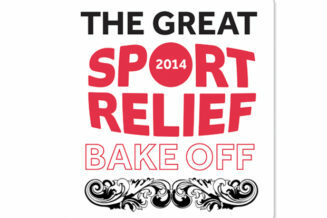 Friday is just that bit better when you can eat cake, wear pink and collect money for such a worthy cause. We’ve also really enjoyed seeing everyone’s pink efforts on Twitter and Facebook and every pound raised goes to help fund innovative world-class breast cancer research that saves lives. In addition to the range of educational projects currently underway, the design team have also been busy on projects in the industrial sector. In the world of Precision Engineering, a highly technical project that DKA have designed for Ricardo UK has just started on site at Shoreham Technical Centre in Sussex. Working alongside Hydrock, CCM and Interserve, DKA have planned an extension to Ricardo’s existing engine assembly facility. The project has an approximate construction value of £2m and is due for completion in March 2015. This represents a continuation in our partnership with Ricardo UK as DKA also designed the original engine assembly facility. Having completed a number of high profile Healthcare projects across the South West, the team here at DKA pride ourselves on keeping up with the latest developments across our core sectors. Our in-house environmental psychologist, Rebecca Furse, is a source of real insight into best practice approaches for providing positive care for those living with dementia. Rebecca led the interior design and dementia strategy for the fit-out of the recently completed Bridgwater Hospital and in this month’s Building Better Healthcare, she outlines her approach to designing positive, dementia-friendly environments. Rebecca is heavily involved in a number of DKA’s healthcare projects and also leads the interior design strategy for our supported living and care home portfolio. DKA feature in this weeks' Bath Chronicle W magazine! 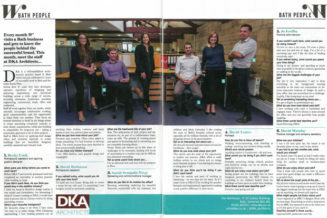 DKA have the pleasure of featuring in this weeks’ Bath Chronicle’s W Magazine. The pitch of the piece is to get to know the people behind some of the city’s most successful brands. Not only does the article feature some of our creative team but it also features our dedicated support staff. Becky Cook, David Robinson, Sarah Sempala-Ntege, Jo Griffin and David Munday grinned enthusiastically for photos and answered questions about their jobs and interests. Don’t forget to pick up your copy of this week’s Bath Chronicle to find out a bit more about us and put a face to a name. DKA is delighted that the recently refurbished Wiltshire Council offices at Monkton Park in Chippenham have been shortlisted for a South West Business Insider Property Award in the Commercial Workplace category. This project forms a key part of Wiltshire Council’s Transformation Project to streamline their services and premises across the county. The refurbishment of the existing Monkton Park offices hub has been designed to optimise levels of accommodation and provide a modern, flexible workspace. Desk capacity has been increased from 340 to 540. Works have included link bridges across the existing atrium to improve connectivity between office floor plates, new IT installation throughout the building, upgrades to service cores and refreshment areas and renewed interiors and furniture. The awards will be announced on 16th October – we’ll keep you posted! 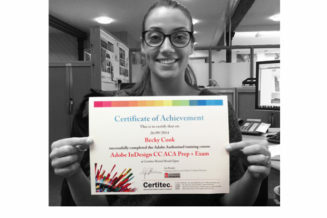 Congratulations to Becky Cook who passed her ACA (Adobe Certified Associate) exam in Adobe InDesign. The exam is designed to test the knowledge of InDesign as a programme but also the knowledge of design terminology, structure, copyright issues and design theories. Later this year, Becky is undergoing more training and will take her ACE (Adobe Certified Expert) exam. She plans to continue her training across the Adobe Creative Suite platform making Becky a helpful asset to the design team here at DKA. 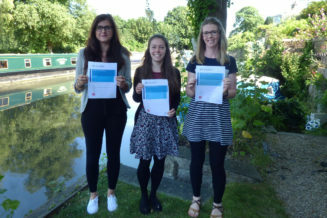 On a sunny evening at our canal-side studio in Bath, DKA welcomed Women in Property guests to a presentation about the use of BIM in healthcare design. Representatives from architectural, engineering and design businesses from the South West enjoyed a chance to network before informative talks by project architect Adrian Abbs and BIM Coordinator Joe Oksien explaining how DKA used BIM to enable smooth design and delivery of the recently opened Bridgwater Hospital. DKA were also appointed to coordinate the interior design which led to writing a dementia strategy for Somerset Partnership NHS Foundation Trust. Designer and Environmental Psychologist Rebecca Furse explained the process DKA took with the team to develop this strategy, and how the 3D computer model was an essential tool for describing the interior design to the clinical staff. The presentation was followed by a lively discussion about the current use and ongoing development of BIM in architectural design and delivery. In celebration of our commitment to nurture young creative talent, DKA are not only a sponsor of this year’s The Telegraph Children’s Bath Literature Festival but we’re also holding an exciting drawing competition for children from the ages of 2 to 16. 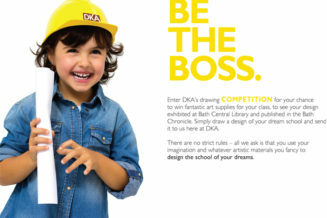 Enter DKA’s drawing competition for your chance to win fantastic art supplies for your class, to see your design exhibited at Bath Central Library and published in the Bath Chronicle. 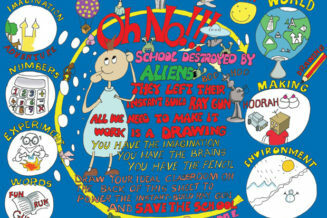 Simply draw a design of your dream school and send it to us here at DKA! DKA have been designing schools for over 21 years and we actively encourage creativity to produce the most inspiring and engaging environments for children to learn in. We understand that children are the major stakeholders in many of the school environments that we create which is why we’re giving school children in and around Bath the chance to share their dreams and visions of the perfect school. We don’t want to limit any creativity or inspiration by setting lots of rules – the more imaginative the designs the better. However we have supplied some guidelines along with terms & conditions and an entry form for the competition in a downloadable PDF. Please see link below. On Saturday 16th August our intrepid adventurer James Bastable completed a ‘Tough Mudder’ event in Cirencester Park to raise money for Help for Heroes. James and his friends completed the course in just under 3 hours. A few cuts and bruises, but no broken bones. He’s off later to have a relaxing spa day and rub down! Our team of architects and designers are busy working on designing, converting and creating new school and care home facilities across the South West. We’re delighted to be working with Skanska and the Bristol LEP, Wiltshire Council and Futures for Somerset to help them bring their design visions to life. The expansion of Ashton Gate Primary School in Bristol will involve the conversion of former Imperial Tobacco offices and here at DKA we’re proud to be respectfully transforming a historical landmark into a lasting community asset. We’re also delighted to be working with Wiltshire Council to design a 50-apartment extra care home in Devizes. Learnings from our extensive supported living portfolio will aid our design of this community facility, as well our dementia care strategy, devised by our in-house environmental psychologist, Rebecca Furse. And finally, as Somerset schools prepare for the introduction of free school meals, we’re working with Futures for Somerset to provide centralised catering facilities that will meet the demand for the required service. 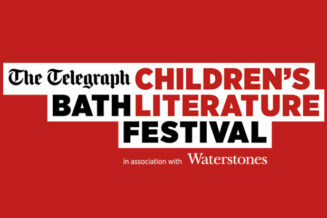 To support our ongoing commitment to nurture young creative talent, DKA has signed up to sponsor the 2014 The Telegraph Children’s Bath Literature Festival, set to take place in Bath from 26 September – 5th October. We’re excited to be sponsoring a full day of events during the schools programme as well as a Young Curator’s workshop where school pupils will be asked to design their dream school. During our 21 years of designing exemplar facilities for schools, we have always considered the school children to be the major stakeholders in any school design project, so we’re really excited to see how they bring their visions for their dream school to life through their sketches and drawings. DKA Receives Investor in People Accreditation for Ninth Year Running! Here at DKA in Bath, we’re delighted to announce that we have achieved Investors in People (IiP) accreditation until 2017, an award we have held since 2005. 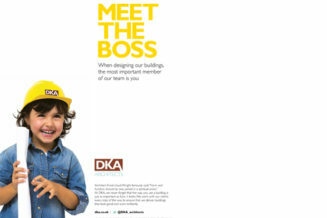 The recognition is further testament to the importance placed on the value of the team here at DKA – our people are our strongest asset and we continually strive to invest in and develop the highly talented individuals here at DKA, so as a team we are always performing to the best of our abilities. We strive for the IiP standard because it provides a framework that helps us to improve performance and realise objectives through the effective management and development of our greatest asset; our team! Collectively we work hard to ensure the measurable development of our team and it’s great to have this achievement formally recognised once again. 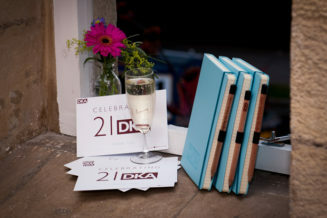 Last night, DKA celebrated our 21st Birthday with a wonderful gathering of clients and colleagues at our canal-side studio here in Bath. 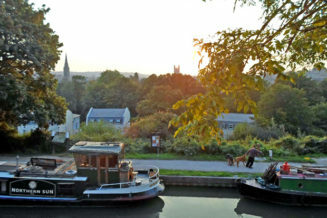 The sun shone, the wine flowed and the jazz trickled out into the garden where guests enjoyed a chance to mingle and take trips on a narrow-boat down the Kennet and Avon Canal. For everyone here at DKA, our birthday was a chance to celebrate the fantastic array of projects that the team have delivered over the last 21 years, from community hospitals to care homes and primary schools to precision engineering sites. 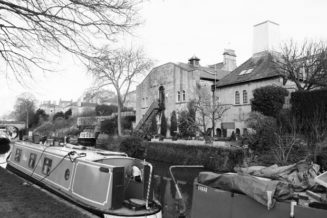 Over 1330 projects delivered from our buzzy canal-side base here in Bath. Cheers and on to the next 21 years! Our thanks go to Relish Catering for putting on an amazing spread, Heritage Wines for keeping our guests’ thirst at bay and Myrtle Mee for our beautiful flower displays which still smell amazing this morning. 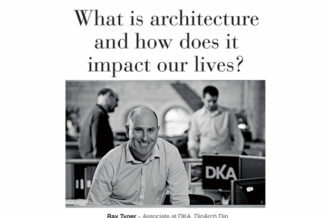 Our very own Ray Tyner here at DKA has written a fantastic article (if we say so ourselves!) for The Bath Magazine looking at the impacts of architecture on our everyday lives. Regardless of the type of life we lead, we generally lead our lives within or between a series of buildings. So which of these buildings do we actually enjoy? And perhaps more importantly why do we enjoy them? It comes as no surprise to architects that we ought to treasure the quality of these varying spaces and the context in which they sit. The opportunity for architects to improve the world around us is something we are proud to engage with on a daily basis. Here at DKA we start by listening to the client to gain an understanding of what their ideal environment might be. What makes people tick? If you had the chance to live and work in an inspiring space, be that internal or external, why wouldn’t you engage with someone that can bring this aspiration to a reality? To read the full article, pick up your copy of The Bath Magazine, out on 27th June. 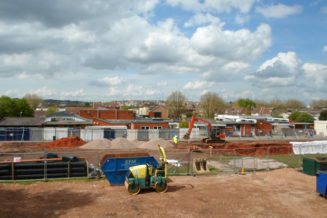 DKA have worked with Skanska and Bristol LEP to create a new annex for Ashton Gate Primary School, converting the Imperial Tobacco offices on Upton Road, Bristol. The project has now been submitted for planning. The conversion will create 16 new junior classrooms over three floors arranged in year group clusters, doubling the school intake to 4 Form Entry. Infants remain at the existing school a short walk away. New spaces are to modern sizes and standards, well lit and naturally ventilated. A new lift improves access and car parks will become new playgrounds. The building has been occupied by Imperial Tobacco for 100 years, originally as factory space and more recently as office space. It is one of only two surviving buildings from the historic tobacco estate. The original envelope is retained with few external modifications. The building has a fine brickwork frontage and high ceilings making it ideal for conversion. Here at DKA we’re proud to be respectfully transforming a historical landmark into a lasting community asset. 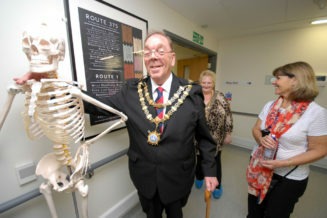 DKA-designed Bridgwater Community Hospital given the Royal Seal of Approval! 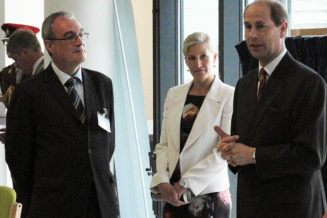 DKA-designed Bridgwater Community Hospital was officially opened and honoured with a visit by Their Royal Highnesses The Earl and Countess of Wessex today (9th June 2014). The Royal couple were given a tour of the state-of-the art facilities and met the teams involved in designing and building the new hospital. Upon meeting DKA Director David Kent, the Earl of Wessex was keen to find out about the history of the site, the challenges posed by designing a brand new healthcare facility and was impressed at how quickly the 5000sqm hospital had been delivered. A plaque was revealed to commemorate the official opening. 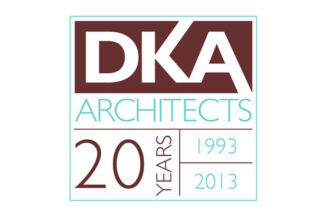 For the 10th year running, DKA is proud to support the RIBA Part I architecture students at the University of Bath. In recognition of their hard work, a small DKA judging panel (this year, composed of four University of Bath alumni) takes the yearly pilgrimage to 6East in search of the best computer generated graphics for the DKA Award. 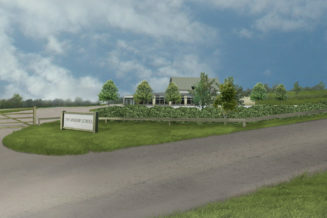 Based purely on the graphics exhibited, our eyes were unanimously drawn to a proposed orchard and community cidery project in Stroud. Congratulations to Sophie Beagles from all at DKA! The Apple Exchange will act as a central hub to the Stroud Town Apple Project. The scheme will be focused around a cidery, collecting apples from existing and newly proposed community orchards. The residents of Stroud will also be able to donate home-grown apples, in exchange for a share of the cider or apple juice produced. The produce will be sold directly on site, through the bar, restaurant or shop. Visitors may view the cider production process, through a working exhibition space. The proposed community orchard will also be open to the public, offering orchard tours and workshops. To celebrate 21 years of business, we’re launching our first ever marketing campaign. The objective behind the campaign is to bring to life the ethos of DKA and the value we put on our customers, placing them at the heart of everything we do. As a result, you won’t see buildings in our adverts, you’ll see the people that get to use them once they’re designed and delivered – ultimately the boss in any team we’ve ever work in. Media has been negotiated by local PR consultancy Bud Communications. The adverts have been designed by Bristol-based creative agency, The Group of Seven, and are reflective of DKA’s architectural design ethos of putting our clients front and centre of everything we do. The campaign will be delivered across multiple media including editorial, advertising, social media, events and sponsorship. At DKA we don’t ever need an excuse to have cake but on the 28th May DKA’s number 1 Kylie fan, David Munday bought everyone cake to celebrate the pop stars’ birthday. Also; never at a loss for a social media moment, DM Tweeted the star to let her know. 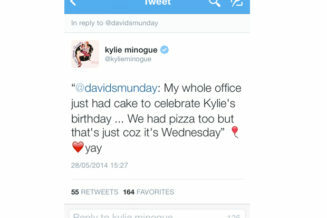 Kylie Minogue promptly replied and DM’s twitter account got over 200 Retweets and Favourites as well as a raft of like-minded Cake loving Minogue Followers. It may have just been two “emoticons” and a “yay” but he was smiling all afternoon. Madonna’s birthday is in August….fingers crossed Munday! Following more than two years of developing designs and conducting public consultation, the design team here at DKA in Bath are delighted that Melksham Campus has been granted planning approval. This marks an important milestone to providing locally tailored and wide ranging community facilities within the town centre and is an exciting project that brings together a wealth of DKA’s architectural experience, including leisure, healthcare and interior design. 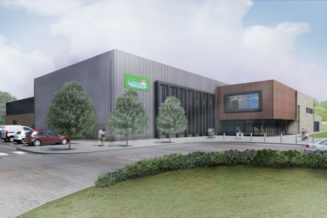 The Melksham House site will provide a four badminton court sports hall, a six lane 25m swimming pool with spectator seating, a secondary pool, six rink indoor bowls hall, a climbing wall, as well as a fitness suite and dance studio. 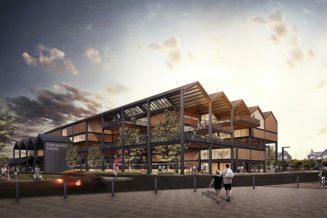 The project also includes a library, multi-purpose activity rooms, flexible office space and health provision for Wiltshire Council’s partners. Historical elements Melksham House (Grade II listed) and an Edwardian bathing pool will be refurbished and integral to the project. 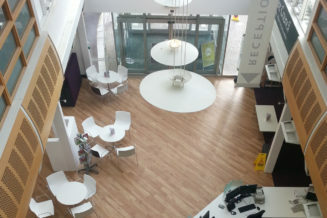 Melksham Campus is part of Wiltshire Council’s community campus programme. Community campuses are developed with input from local people to ensure each one is as individual as the community it serves. In addition, this project is to be part-funded through Sport England’s Iconic Facilities programme, which is aimed at turning a small number of key local community facilities into some of the best in the country in order to help people play sport. Here at DKA in Bath, we’re delighted that Monkton Park, a major design and refurbishment project that we’ve delivered in partnership with Wiltshire Council, has been shortlisted for an LABC Award. The Awards celebrate the best in Innovation, technical excellence, sustainability and design team performance. 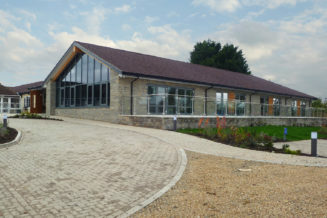 Monkton Park has been shortlisted within the “Best public service building” category. The project has been delivered as a partnership between Wiltshire Council, DKA – Architect & Contract administrator, WSP – Structural engineers and Ridge – Mechanical and Electrical engineers and Bray & Slaughter – Main contractor. Bridgwater Community Hospital Now Open! We’re delighted to announce that DKA’s recently designed Bridgwater Community Hospital opens its doors to the public today. The new hospital will offer state of the art healthcare to the local community, and situated between Junction 24 and 23 of the M5, offers easy access from the existing road network and free car parking. 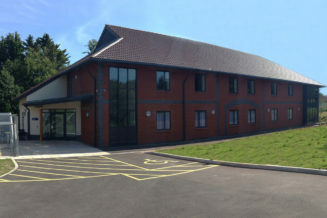 The hospital enjoys good views to the Quantock Hills to the West and the Polden Hills to the East and the extensive use of glazing ensures that opportunities to bring natural light and ventilation into the building are maximised, creating a light and welcoming atmosphere for patients and staff alike. The interior has been informed by DKA’s dementia care strategy, which provides a focus on creating dementia-friendly environments. Here at DKA in Bath, we’re excited that work has started on the new 9 classroom extension block at Easton C of E Primary School in Bristol. DKA will be working with Skanska to deliver the extension as part of Bristol City Council’s Primary Capital Programme.The total project cost is £2.2m and is due for completion in December 2014. Apparently the pupils at the school were disappointed when they were told the big hole (soak-away) wasn’t going to be a swimming pool! Watch out for more news coming from site as this exciting education project progresses. Here at DKA in Bath, we have over 20 years’ experience of designing state-of-the-art hospitals and we’re extremely proud of the latest addition to our portfolio, Bridgwater Community Hospital which opens to the public on 28th April 2014. The key design principles in planning the site were to provide easy access from the existing road network, maximise views out to the surrounding countryside, minimise noise from the adjacent motorway, provide adequate car parking and allow for future expansion. Planned around an internal courtyard and with generous areas of glazing, the opportunities to bring natural light and ventilation into the building are maximised. Combined with the subtle internal colour scheme which was informed by DKA’s dementia strategy, the internal environment has a pleasant and calming atmosphere which is appreciated by patients, visitors and staff alike. As architects and designers here at DKA, attention to detail and good durable design is our bread and butter, so when we decided it was time to update our website, we couldn’t help but get our hands dirty and design it ‘in-house’. The same went for our responsive mobile site which is now available to view on smartphones and tablets. We wanted to keep the fresh, stripped back feel of the website and incorporate an easy-to-navigate drop down menu, all the while keeping the slideshow function for images. We’re very pleased with our new responsive mobile website and hope you are too! Feel free to drop us an email with any feedback. DKA is always on the lookout for opportunities to network and strengthen local connections. 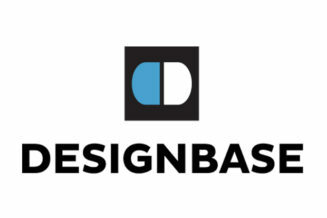 With this is mind, we recently invited in Bath-based surveying and architecture outfit DesignBase to give a lunchtime CPD presentation about the latest developments in 3D laser scanning. We were impressed by their capabilities and agreed that they would return to undertake a full digital survey of the interior of the Malt House as a training exercise for their surveyors. The result – viewable through the online SCENE LT platform – is a point cloud survey, together with a full 3D photographic model. DesignBase used this data to create a Scan-to-Revit® model of the Malt House, which we will be using initially to investigate refurbishment works. Longer term we intend to develop the model to showcase our BIM capabilities. 3D surveys are definitely the future! Nothing says Sport Relief like cake, so here at DKA we limbered up, donned our aprons and baked to do our bit to raise money for the Sport Relief charities. The theme was ‘design’ and it’s fair to say there was more than a healthy dose of competition across the 4 teams, each vying to win the highly coveted prize of… cake. All the entries demonstrated a very high standard of technical ability, creative flair and were absolutely delicious – it was as if Mary Berry had been there with us! The victorious team, Mary’s Angels, stole the show with their reinterpretation of the Guggenheim Museum in New York. Much cake was baked and enjoyed but none was wasted – anything that was not eaten during judging was donated to a good cause. Ever dreamed of being a hot shot Architect designing the next iconic building to shape the skyline of London, Paris, New York or Dubai? 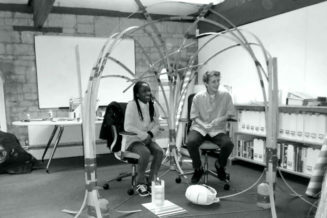 At Sheldon School in Chippenham, Architects of the future are doing just that, crafting models of their proposals with assistance from Andrew Batty, Education Associate at DKA. During the course of the School’s Industry Day workshop, DKA introduce 180 pupils to what Architects do, the range of buildings they design, how you become one, and then they get a taster for designing buildings for themselves. ‘The start of work experience laid the foundation for what we were taught the rest of the week. Firstly we met the DKA team and we discussed their roles and specialities within the practice, which led on to us learning about the processes behind designing a building. These processes were applied to making a ‘human size’ structure out of timber called the ‘Creativity Capsule. We then learned how architects translate 2D plans into 3D buildings, through the use of plasticene. This linked directly to our next project: to design and produce a model of a beach hut. The project involved drawing 2D plans and elevations, transferring them on to the computer and using these as the basis of our 3D model. One of our designs was an oval shaped beach hut which would hang from the trees and the other was a hexagonal tower made of sustainable materials. CLEVEDON HALL RESIDENTIAL SCHEME APPROVED! We are very pleased to announce that our proposals for new homes in the grounds of Clevedon Hall finally received planning and listed building consent from North Somerset Council on 7 February. 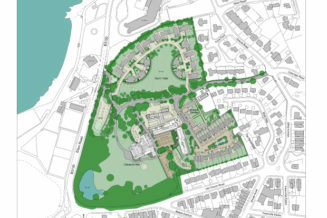 DKA were appointed in early 2011 to master plan the development of the Clevedon Hall estate and after extensive consultations with the Council, English Heritage and other interested parties, submitted applications in August 2012. The scheme was modified during the planning process to address consultees’ concerns over density. The final proposals create two distinct areas of new houses: North Field, where low density clusters of houses are arranged around the edges of a new park, and South Field where pairs of steeply gabled houses face a central shared area with parking and play space. A third component of the scheme was new self-contained hotel suites inserted into a Victorian walled garden. This comprehensive development will immeasurably improve the heritage environment of Clevedon Hall and safeguard its future. Following a recent county-wide public consultation, DKA has submitted planning and listed building consent applications for the new Melksham Campus (ref 14/00726/FUL). 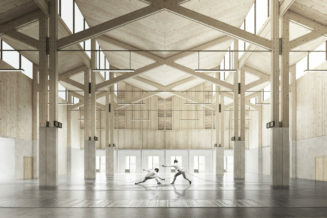 The Campus will house a wide variety of sports facilities, including a six lane 25m swimming pool with spectator seating, a secondary pool, a four badminton court sports hall, six rink indoor bowls hall and climbing wall, as well as a fitness suite and dance studio. 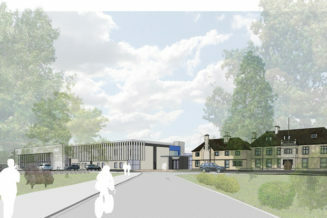 The project includes a library, flexible office space and healthcare provision together with the refurbishment of the existing historic Melksham House and adjacent Edwardian bathing pool. All facilities will be accessed through a single main entrance and linked by a light and airy glazed concourse. 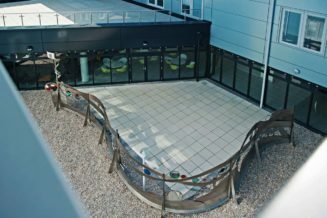 Melksham Campus is part of Wiltshire Council’s community campus programme which is in the process of delivering over a dozen such projects across the county. Community campuses are developed with input from local people to ensure each one is as individual as the community it serves. 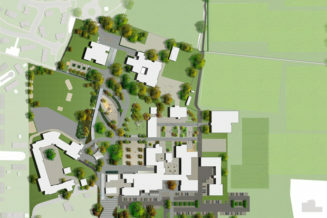 A planning application has been made for the first phase of the masterplan to create a single integrated campus for Bridgwater College Academy. The proposals are an essential part of the college’s objective of becoming a fully integrated ‘all-through’ school for pupils aged 3 to 16. The first phase includes the diversion of existing public footpaths currently dividing the site, remodelling the car parking, restricting vehicular access into the site and the creation of a new ‘Green Heartland’. DKA have worked with landscape architects MacGregor Smith to design this landscaped focus to the integrated campus with spaces for outdoor teaching and performance that can be accessed by pupils of all ages. 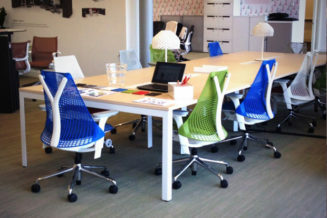 When the South West Branch of Women in Property sent out a flyer for a site visit to Herman Miller, (International HQ: VillageGreen) our interiors team were excited at the opportunity to admire the lovely furniture; to tempt them further, there was a chance to win a Herman Miller chair! VillageGreen boasts the latest in environmental design and has been awarded not only BREEAM ‘Excellent’ but also a ‘Gold’ LEED award. VillageGreen features the latest in sustainable design such as natural ventilation, recycled locally sourced aggregate materials, energy- efficient lamps and reduced water use… the sustainable design list has all its boxes ticked. The interiors are just as impressive as the architecture, yet there is a quality that goes beyond the sustainable design credits and the aesthetically pleasing designs. It’s the Herman Miller ethos. Staff are encouraged to work where they feel comfortable and collaboration is encouraged. The atmosphere is relaxed, light and inviting. 75% of spaces have natural daylight and 95% of the spaces have views. Work environments are laced with vibrant colours, comfortable seating areas are placed throughout and they are used as comfy work spaces as well as meeting/presentation areas. The trip left Rebecca and Becky both enthused and inspired. And congratulations to Becky for being the lucky winner of a Herman Miller ‘Sayl’ chair! DKA have become one of the key partners for delivering Nuclear Skills Training in Sedgemoor. Supporting future nuclear expansion at Hinkley Point C, DKA have delivered three key buildings to date, with a fourth in development. A Planning Application has been submitted to expand the facilities at Cannington’s Construction Skills & Innovation Centre for the UK’s first bespoke Steel Fixing course in collaboration with EDF, BYLoR and Bridgwater College. As Sedgemoor becomes a key location for Europe’s Nuclear Industry, with Bridgwater College as its training provider, DKA are proud to support them both with inspiring educational facilities. The new Bridgwater Community Hospital achieved Practical Completion and was handed over to the client, Somerset Partnership NHS Foundation Trust, on Monday 3rd February on programme and within budget. DKA are pleased to see this milestone reached having been working with the NHS on designs for this 5000m² Community Hospital since 2011. We were subsequently employed by successful Procure 21+ contractors, Integrated Health Projects, to see the project through its completion. With a 30 bed Inpatient Ward, Midwife led Birthing Unit, Therapies, Outpatients and X-ray departments along with a Minor Injuries Unit, this will replace the current outdated hospital in the town centre with new facilities providing 21st century healthcare standards. The new hospital will become operational from 28th April, however for those of you interested in a tour round the building beforehand there is a public open-day on Saturday 5th April. Sustainability is a key driver at DKA which is reflected in all the buildings we design. Our brief for Ashley Down Primary School (Brunel Field) was to achieve a ‘Very Good’ BREEAM rating by Bristol City Council, however the design team set itself the target to get an ‘Excellent’ rating. This was achieved by specifying the correct construction materials for thermal performance, and utilising the orientation and layout to maximise daylight, rather than solely depending on renewables. Congratulations to all involved for a another great achievement! We are pleased to welcome Sarah Sempala-Ntege to DKA who joins us to build and implement our first ever marketing and communications strategy. Sarah has over 10 years’ experience of marketing, managing the full marketing mix from advertising, events and promotions to strategic brand planning and visual identity design and development. She has worked with some of the UK’s leading travel brands and is now keen to turn her hand from marketing high speed trains to high tech building solutions. Sarah relocated with her family from London to Bath in 2012 and when she is not renovating her Grade II listed home in Larkhall, she is yomping through the beautiful Somerset countryside with her 2 daughters, husband and trusty black Labrador. The above is an example of why architects rarely do poetry but you might be able to tell how much we are all looking forward to Christmas. 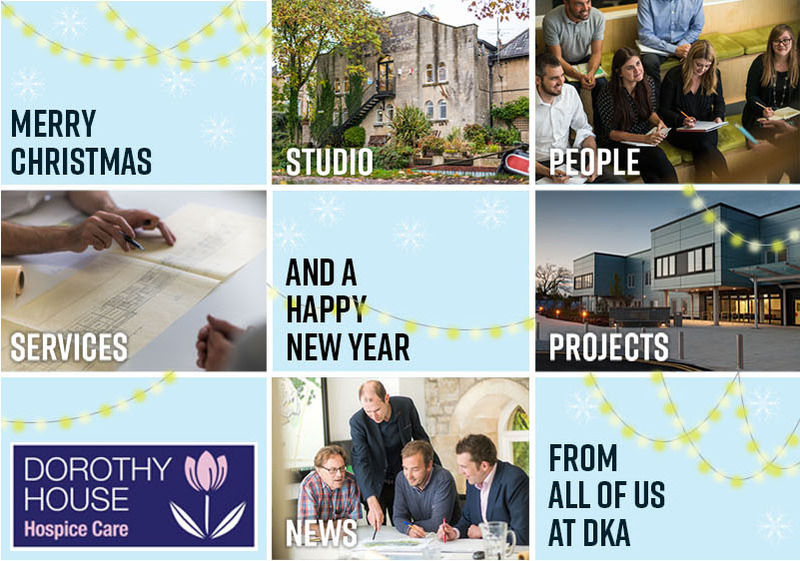 The food…the festivities…the food…It’s been a great year at DKA and 2014 promises to bring more of the same, with lots of exciting projects underway and our 21st anniversary to look forward to in the summer. We would like wish every one of our clients, collaborators and friends a very Happy Christmas and a peaceful and prosperous 2014, what a bunch of crackers you are! Every year everybody at DKA has the opportunity to nominate a charity to be the recipient of our Christmas donation, which we make on behalf of all our friends in the construction industry and beyond. 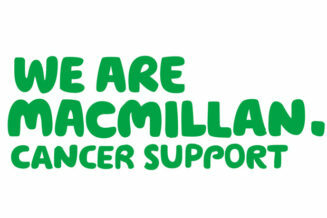 We know you will be pleased to hear that this year our donation is going to Macmillan Cancer Support, who provide practical, medical and financial support and push for better cancer care. 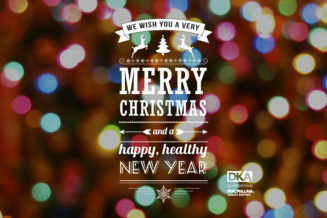 From all at DKA, may your mulled wine glass never be empty, may your tree never drop its needles and may your reindeers’ nose be the reddest of all. Best wishes for a very happy Christmas and a safe, healthy and prosperous 2014. New successes in Autodesk® Revit® Architecture! 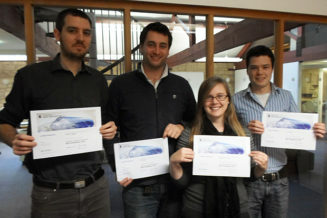 DKA are proud to announce that for the second year running 4 members of our team have become Autodesk® Certified Professionals in Revit® Architecture. On 15 November Rebecca Furse, Tom Hillier, Joe Oksien, and David Yeates made the journey to Southampton to take the 2 hour exam. They all passed with flying colours and join an elite group of only 25 Autodesk® Certified Professionals in Revit® Architecture 2014 in the UK at the time of reporting. This certification gives industry recognition to their computer drawing and modelling skills and demonstrates DKA’s on-going commitment to training and quality in the tools we use every day. DKA has recently participated in a county-wide public consultation to hear peoples’ views on the proposed design for the new Melksham Campus Development. The new Campus will house a wide variety of sports facilities, including a six lane 25m swimming pool with spectator seating, a secondary pool, a four badminton court sports hall, six rink indoor bowls hall and climbing wall, as well as a fitness suite and dance studio. 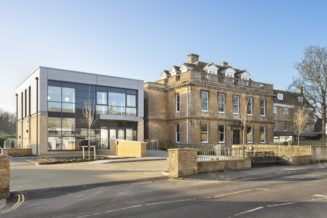 The project includes the refurbishment of the existing historic Melksham House and adjacent Edwardian bathing pool, a library, flexible office space and some healthcare provision. All facilities will be accessed through a single main entrance and linked by a light and airy glazed concourse. Melksham Campus is part of Wiltshire Council’s community campus programme delivering over a dozen such projects across the county. Community campuses are developed with input from local people to ensure each one is as individual as the community it serves. We will be submitting a planning application in early 2014. Welcome to our new cyber home! As you can see, we’ve had a makeover for our 21st year in practice and the place still smells of virtual fresh paint and polish. We’ve unpacked all the boxes and we would love to hear what you think. If you have any feedback or queries on anything that you have found on the website do get in touch with us at info@dka.co.uk. As a practice, we are devoted to listening and working with the client so we look forward to our new website offering another channel of communication – an accessible, informative way to let you know what we are up to. Don’t forget to follow us on twitter for even more updates on what we are up to. We look forward to hearing from you in this exciting time for the practice. Our sincere thanks go to our principal photographer Andy Short of Andy Short Photography, website designer Robin Worrall of Rednine Design and Brand Consultants, Alex Bovey of Alex Bovey Consultancy Ltd and many others who have helped us make this website. It has taken a lot of hard work! We are delighted to announce the appointment of Ruth Fraser to our team, she blew into the office on the day of the big storm and we’re really pleased she did! 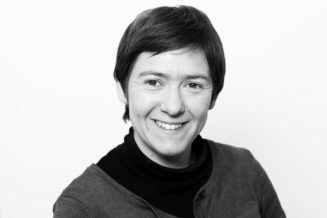 Ruth is a chartered architectural technologist with a wealth of experience of working on commercial projects, large scale residential and mixed-use developments. Her strengths lie in her strong detailing skills and her ability to manage all aspects of a project on site. She has already found the kettle and is sharing our passion for biscuits…this can only go well! Women in Property is an organisation that seeks to enhance the profile of women in property. With many networking and learning opportunities, our DKA ladies are always keen to attend a WiP event. In September, Becky Cook joined fellow female construction and property professionals at Cotswold Life networking event at the Manor by the Lake in Cheltenham with RICS president elect and Keynote speaker Louise Brooke-Smith. She tells us the event was inspiring and she met with a lot of interesting like-minded women (we think she went for the free breakfast!). More recently, Becky attended a careers evening organised by Women in Property at her old school, Katherine Lady Berkeley in Gloucestershire. Becky was part of a team of women who helped explain possible careers in the built-environment to a keen mix of students and their parents. It was a great evening all round and we hope to see some of the inspired students in the studio for work experience soon. To read her thoughts on the evening follow the link to Women in Property. As an opportunity to share with our colleagues our favourite buildings and show off our presentation skills our Friday lunchtime talks continue to be a huge success. Each presentation is an inspiring trip around one of our favourite buildings, and often discusses the architect, its history, its purpose and why it’s successful and a favourite of one of the team. A pizza delivery signifies kick-off as we gather in our newly appointed crit-space to fill our minds and stomachs. Incorporating freehand drawing, videos, models, slide carousels and the more usual Powerpoint, the style of presentation is often more revealing than the chosen building. So far our architectural tour has taken us to the Great Court at the British Museum, London, The Seagram Building, New York City, The Primary Schools of Hampshire, and The Burrell Collection Museum, Glasgow, amongst others … all from an Airstream caravan whilst contemplating the parallels of Architecture and Fashion. 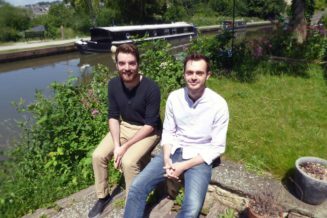 We are pleased to announce that Alex Bell and Fabien Coupat have both been promoted from Lead Architects to the positions of Associate. Alex has been with the practice since 2002 and Fabien since 2001. 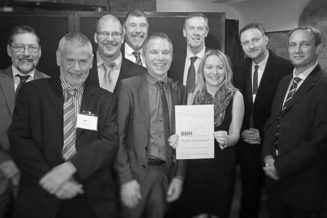 They have both immediately taken up the challenge and are already involved with more practice management as well as continuing to be exemplary architects. We are also pleased to announce that James Bastable who joined DKA in 2006 has been promoted to Lead Architect. James is the perfect choice for this promotion, he has recently qualified as a Project Manager as well as being a confident and accomplished architect. Congratulations to all three of them, we’re like proud parents. At DKA we love the summer, not only does David Kent buy us ice-cream in the afternoon but we also look forward to seeing some new faces in the design studio. 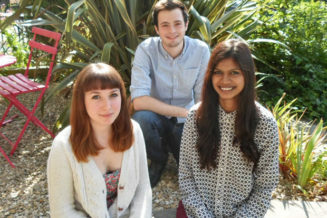 This summer we welcome back Ben Norrish and two new faces Hannah Watkins and Akshara Pulpa. Hannah has been studying at the University of Lincoln and will be with us for just under a year. Akshara and Ben both return to the University of Bath at the end of the summer but as we’re en-route we hope they come in and see us often. On July 7th the practice turned 20 and we celebrated by downing pens and mouses (mice?) and taking to the garden for an afternoon barbeque. 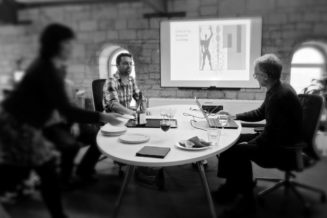 The weather was magnificent and we made light work of the mountain of food and raised a few glasses of bubbly as founding practice members David Kent and Jon Allman regaled their younger colleagues with tales of the olden days when apparently architects used something called drawing boards. It was unanimously agreed that while methods have changed, the practice’s devotion to design and the needs of our clients have not. And neither has our devotion to burgers and beer. Roll on the next 20 years! 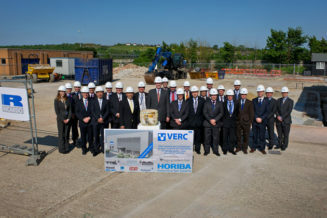 DKA as part of the core project team constructing a new Vehicle Engine Research Centre (VERC) were invited to a special ground-breaking ceremony at the Ricardo UK Ltd building in Shoreham-by-Sea, West Sussex. The construction, project-managed by HORIBA UK Limited, based in Northampton, will include two emissions chassis test cells as well as a full climatic facility from -30°C to +55°C. The project creating this state-of-the-art low carbon, low emissions vehicle research and development facility is supported by the UK Government’s Regional Growth Fund (RGF) as jobs will be created and protected in this important area of clean technology. Other contractors present included CCM, Hydrock and Mansell Balfour Beatty, who together form the full HORIBA Turnkey team. Mr. Horiba, President of HORIBA Limited made a special visit to the UK in order to take part in a traditionally ‘Japanese’ ground-breaking ceremony.